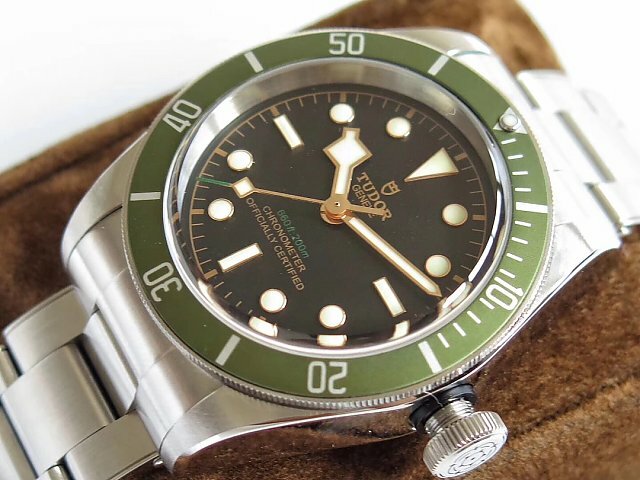 I love green color in the summer, it looks so fresh and clean. 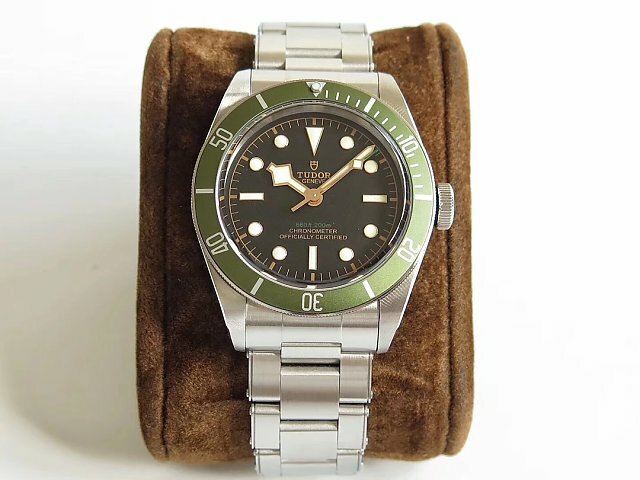 The most popular watch that successfully uses green color is 116610LV Submariner of Rolex, this modelw was published a few years ago and it is still in hot need among a large amount of watch fans. 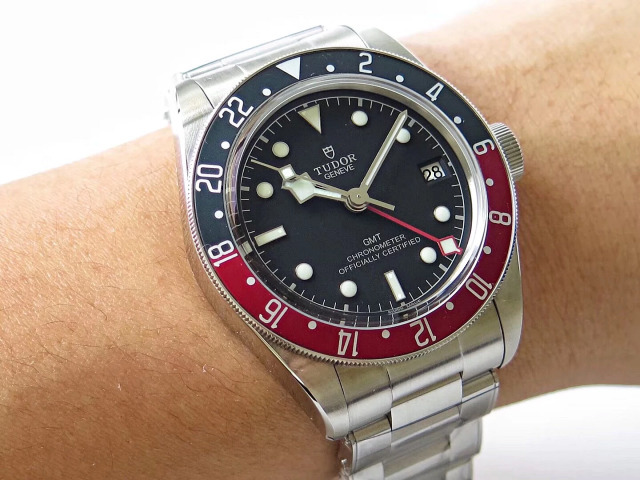 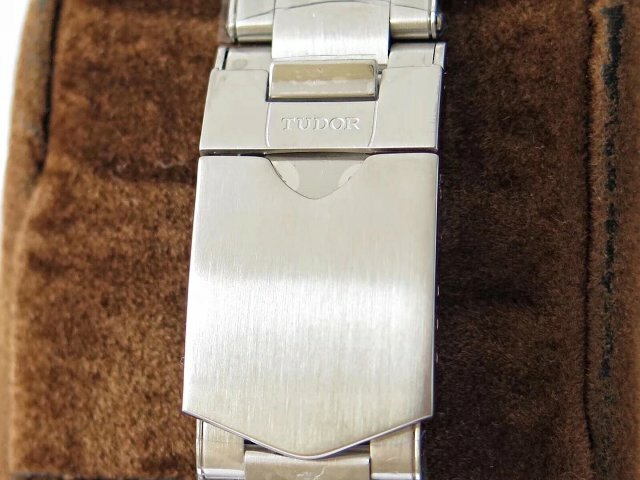 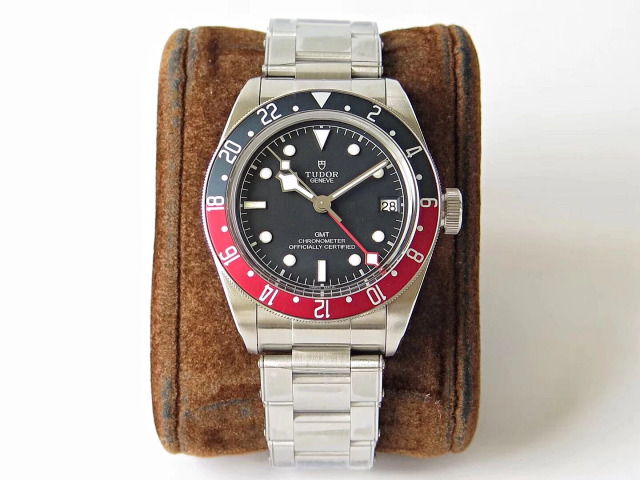 Now the brand I am going to introduce is Tudor, which also loves to use different color on its bezel, Tudor has several models, each with different bezel color, like red, black and blue, especially the Tudor Red, it is a best seller. 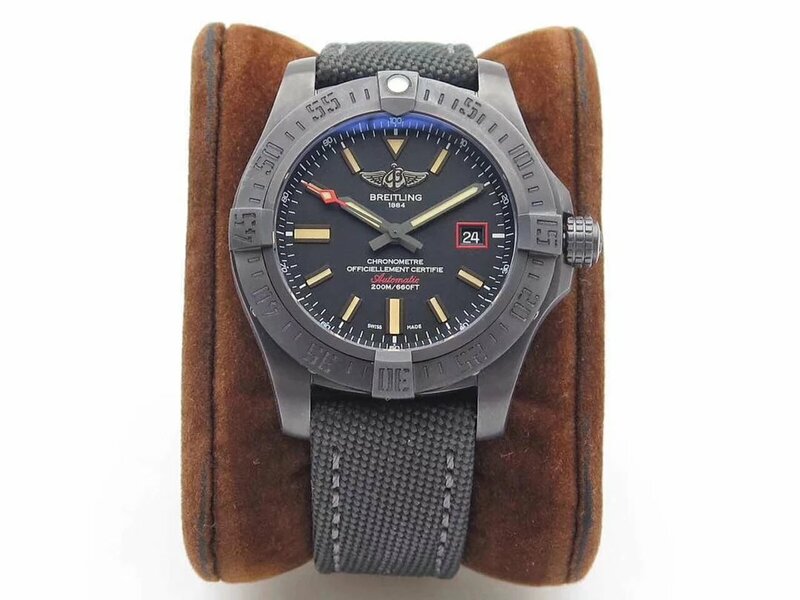 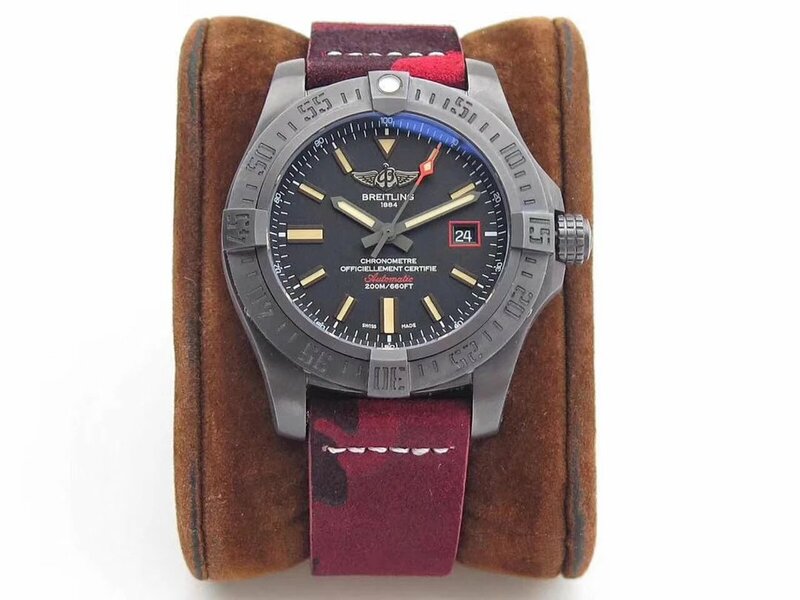 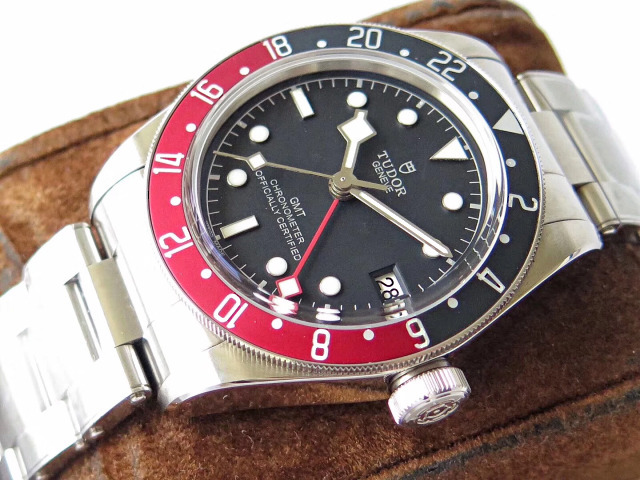 The replica watch here is made by well-known Z factory, which is good at making Tudor replica watches. 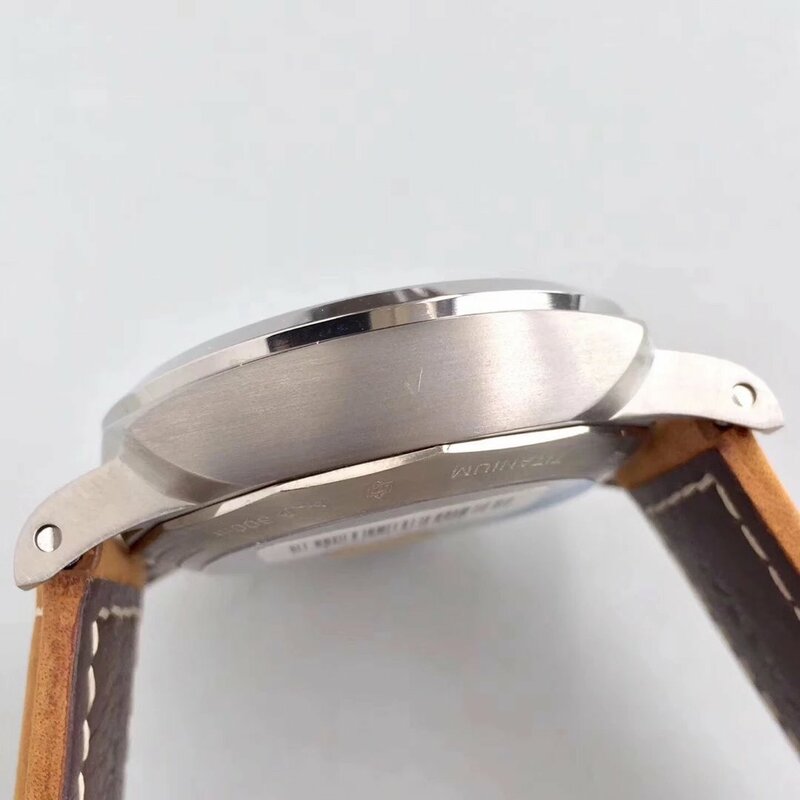 The replica is in top quality, with a reliable Swiss ETA 2824 automatic movement, case construction, dial details and bracelet design are all in top imitation level. 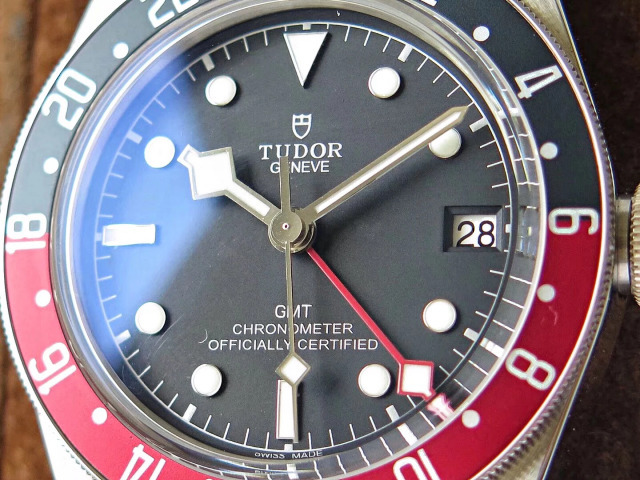 If you need a low-key Swiss luxury watch in a limit budget, then this replica Tudor will be your perfect choice. 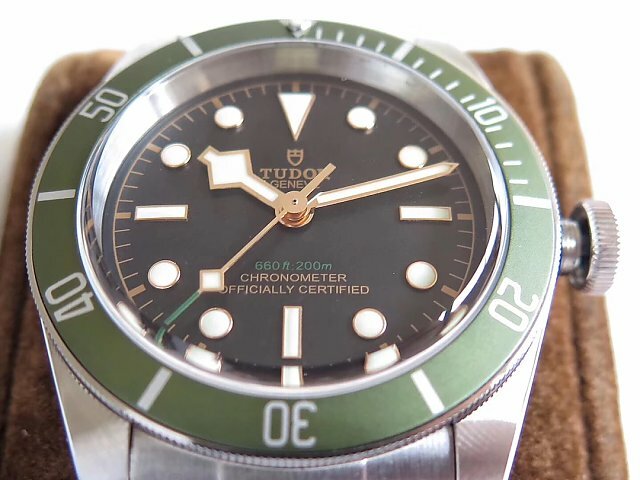 The biggest feature of this Tudor replica watch lies in its green bezel, which is made of aluminum, not ceramic. 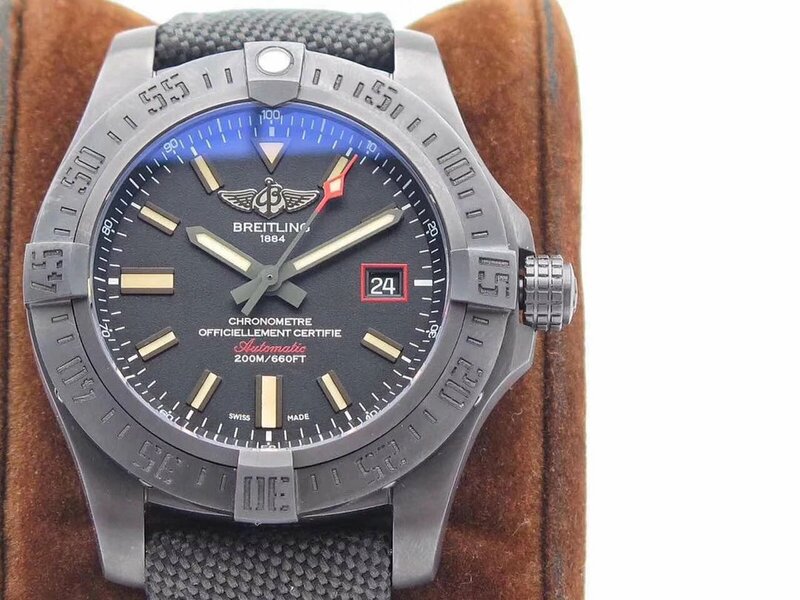 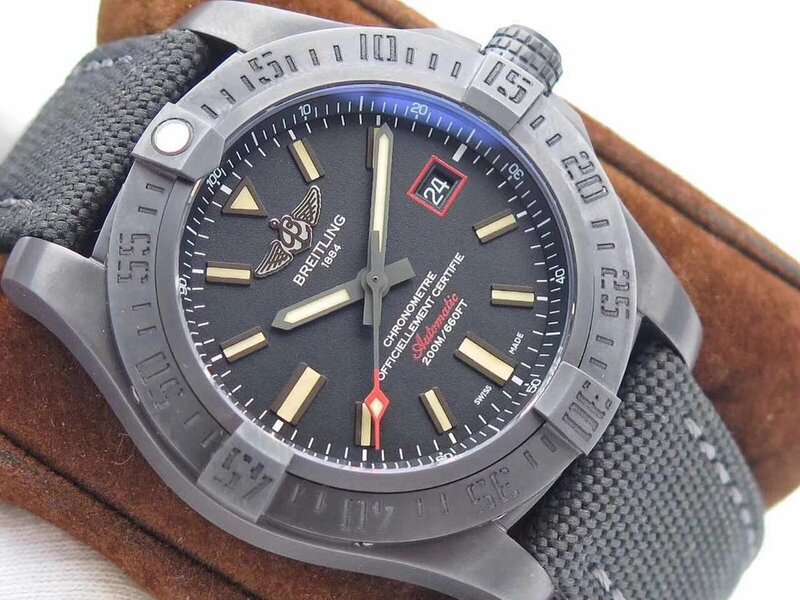 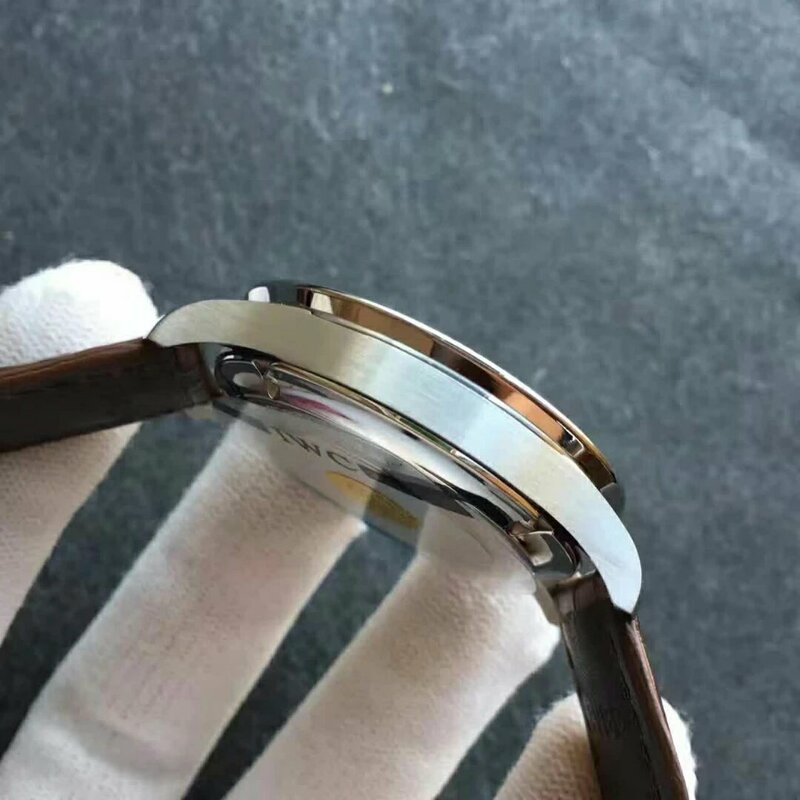 This material has a high corrosion resistance and hardness, the bezel color has been adjusted to make it look exactly the same as genuine one. 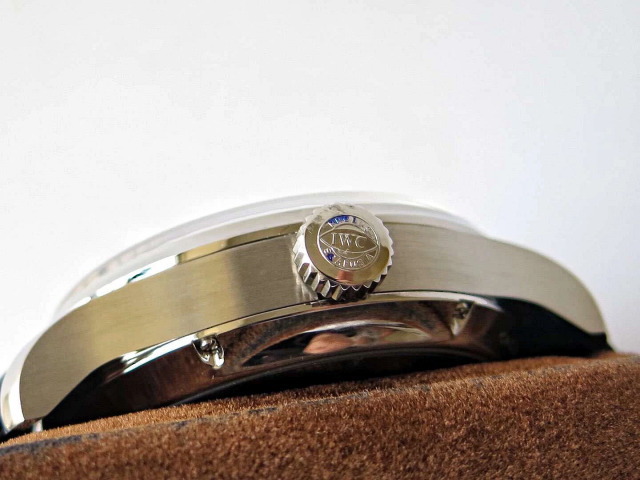 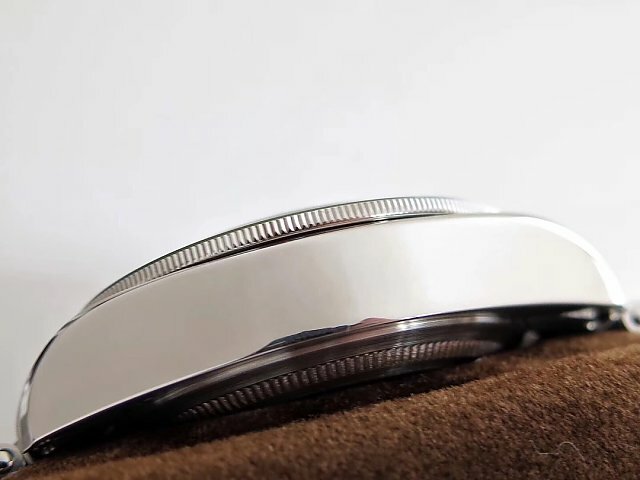 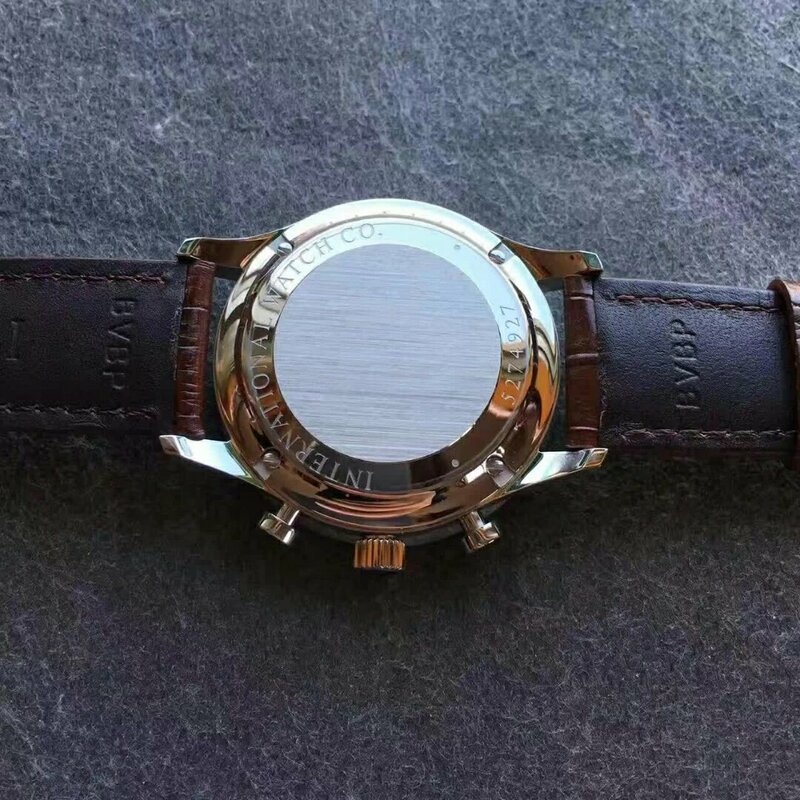 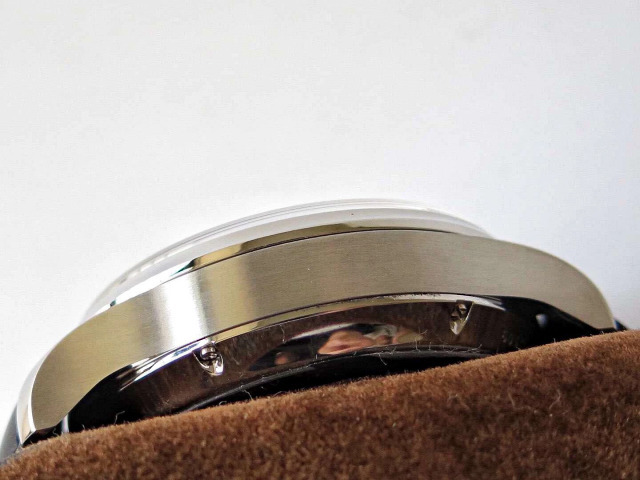 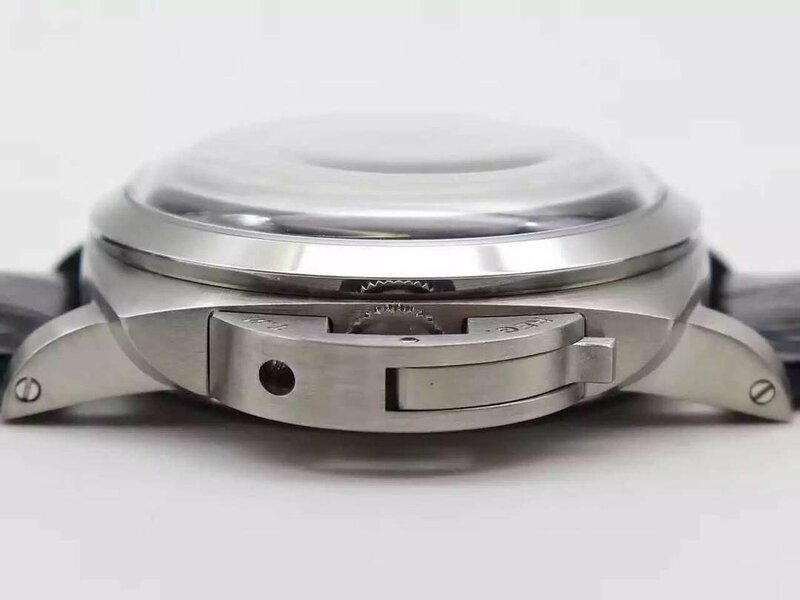 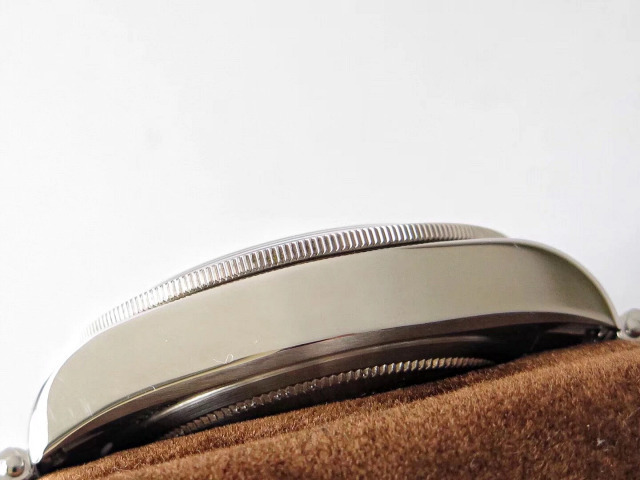 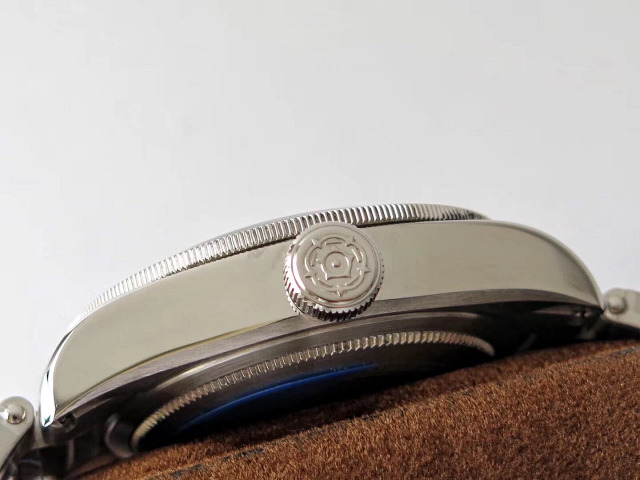 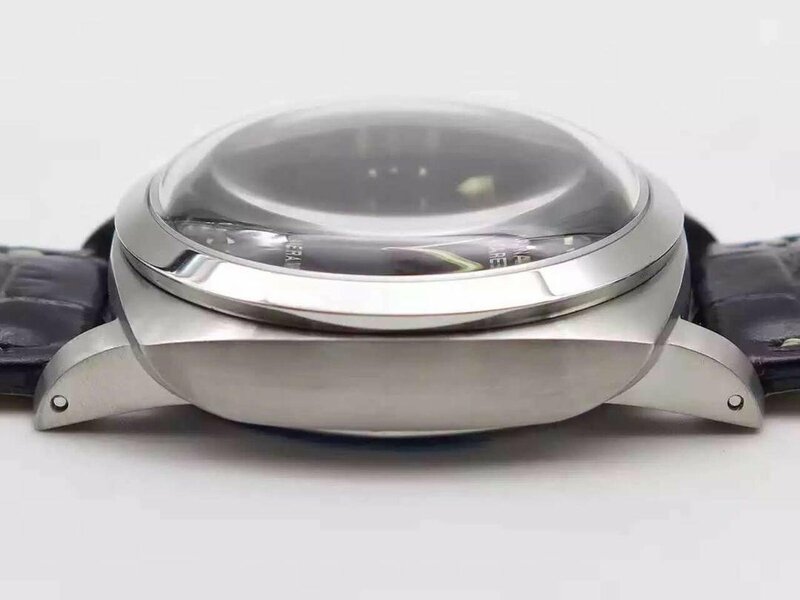 Case is 41mm in diameter, it is made of solid 316L stainless steel and brushed, case is not the bright spot, the bezel is. 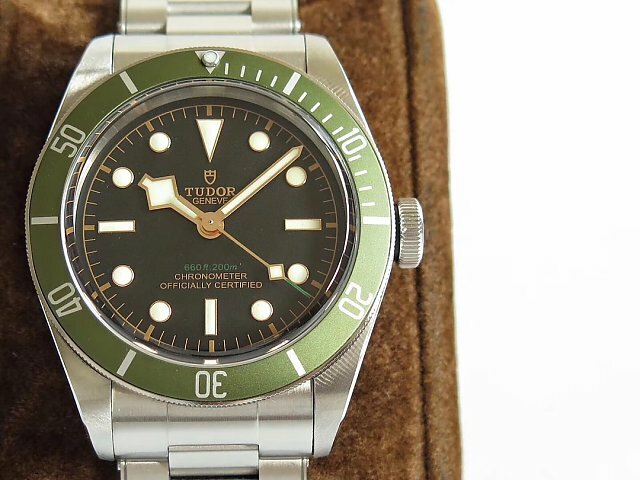 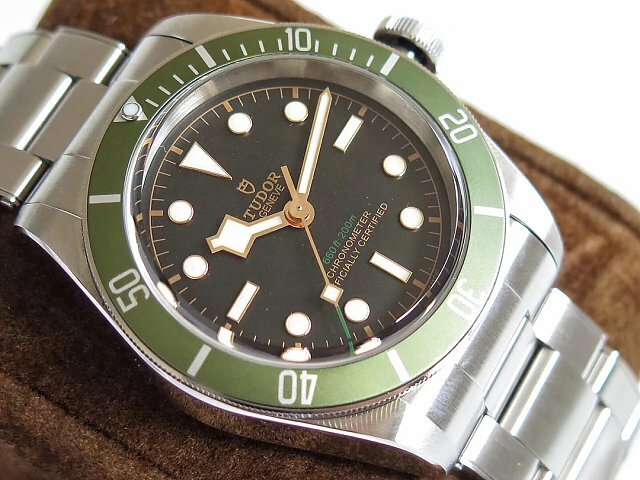 A lot of people buy this Tudor watch due to its attractive green bezel. 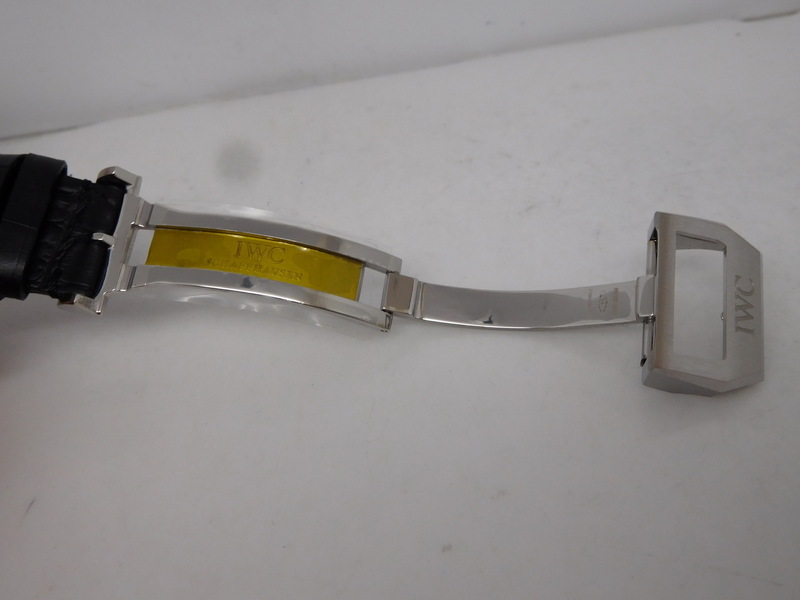 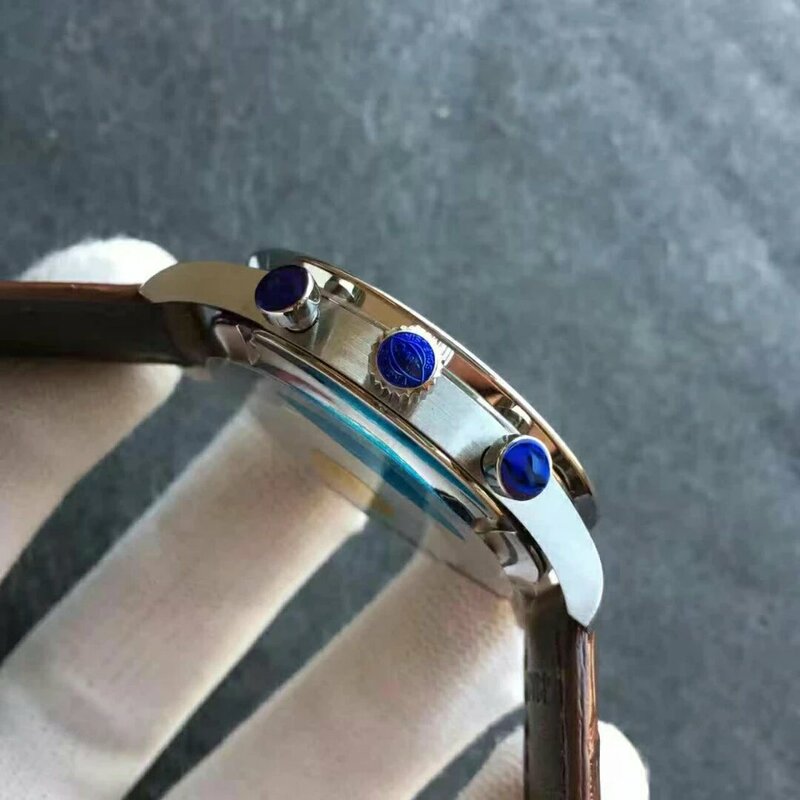 Besides the bezel, the bracelet also looks in top quality. 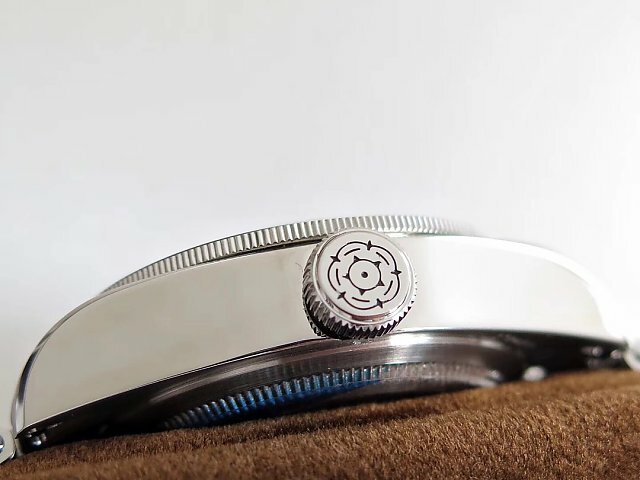 It is unique rivet bracelet made of 316L stainless steel. 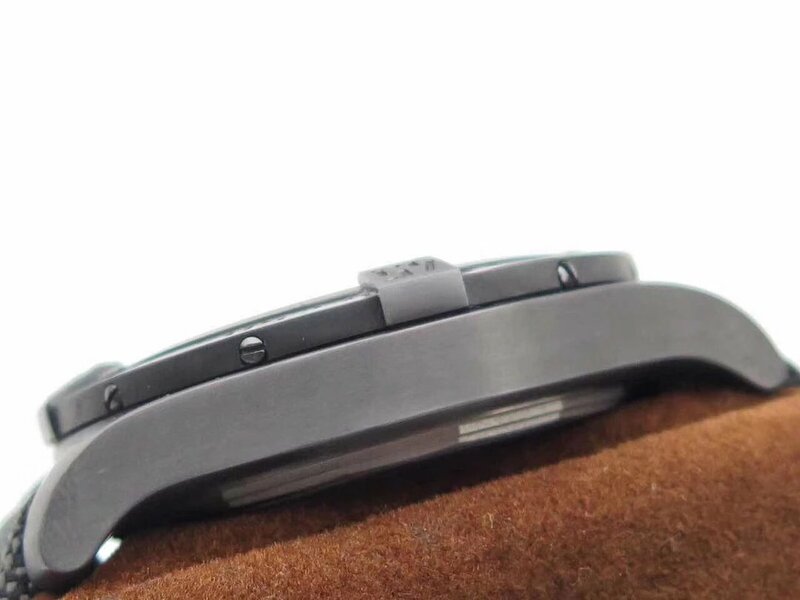 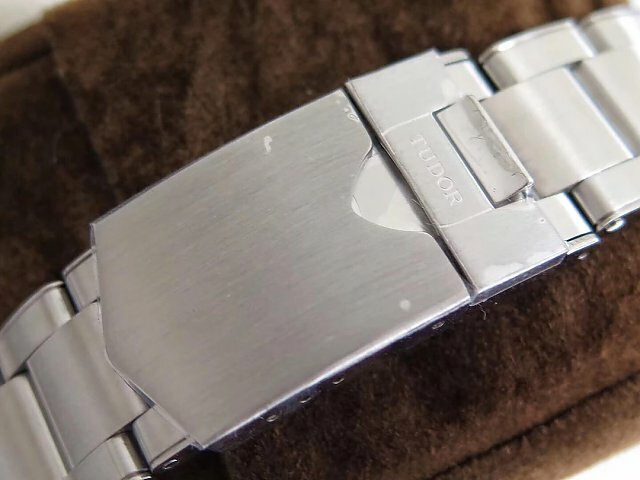 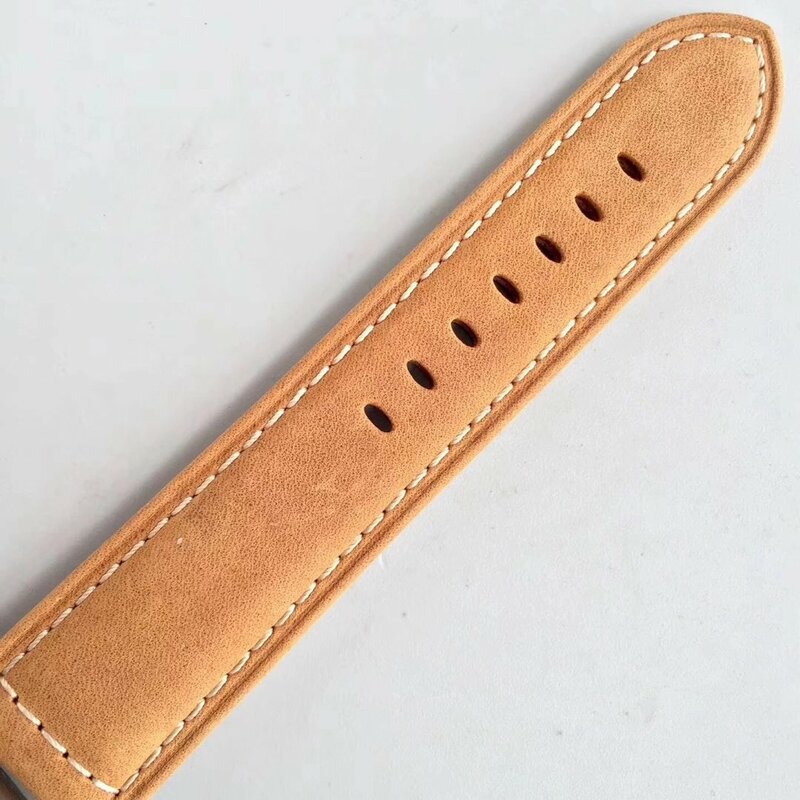 Like case, the whole bracelet is brushed, it not only has enough weight, but its texture feels top grade, the rivets decoration is so special. 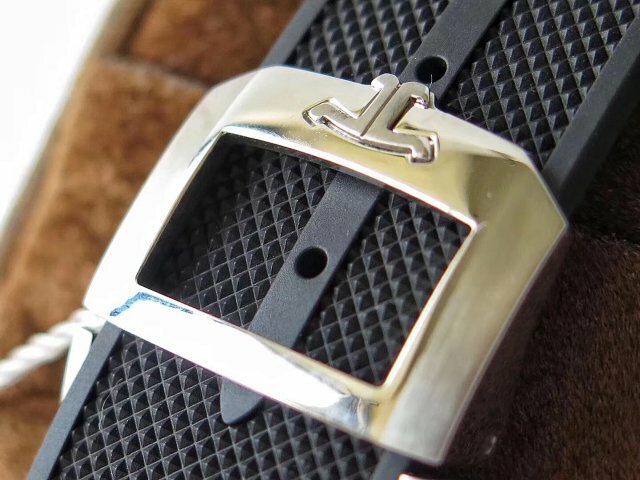 Deployant clasp has correct engravings and special Tudor Shield buckle. 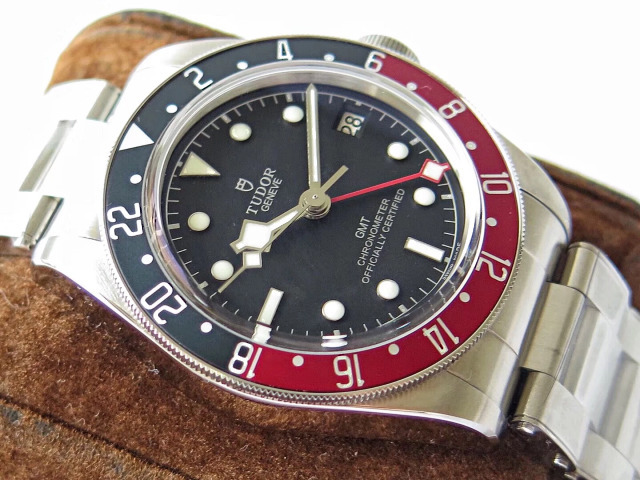 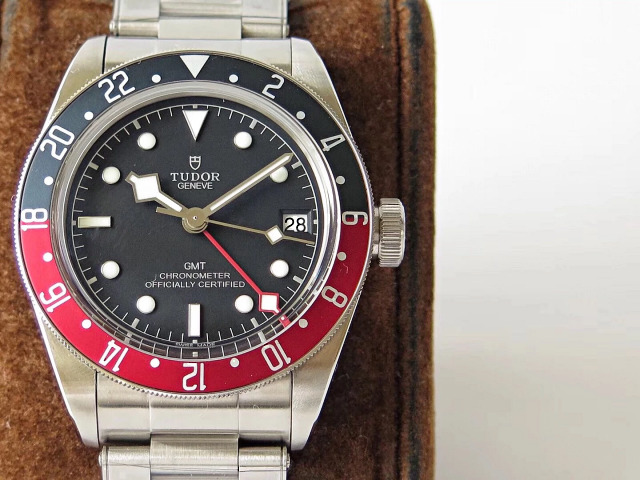 This Tudor Black Bay replica is made by a big factory but sold at a cheap price, it is worth your purchase. 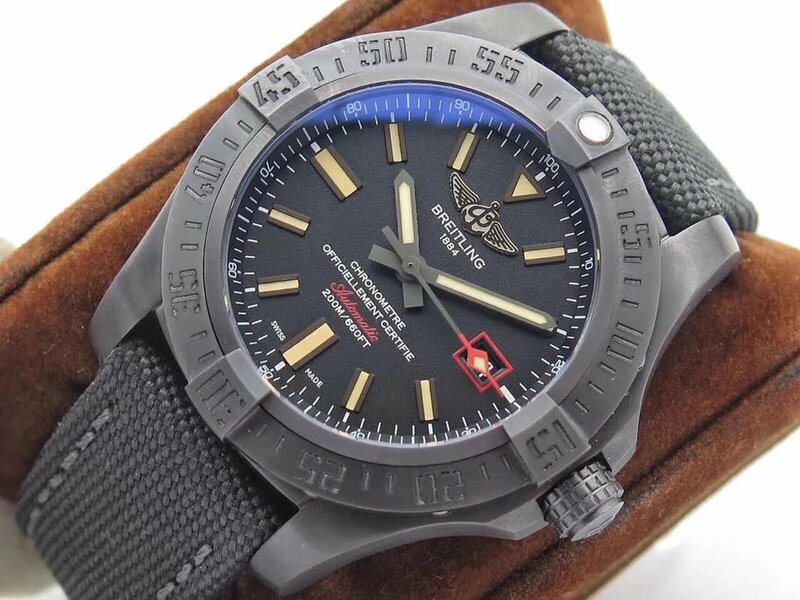 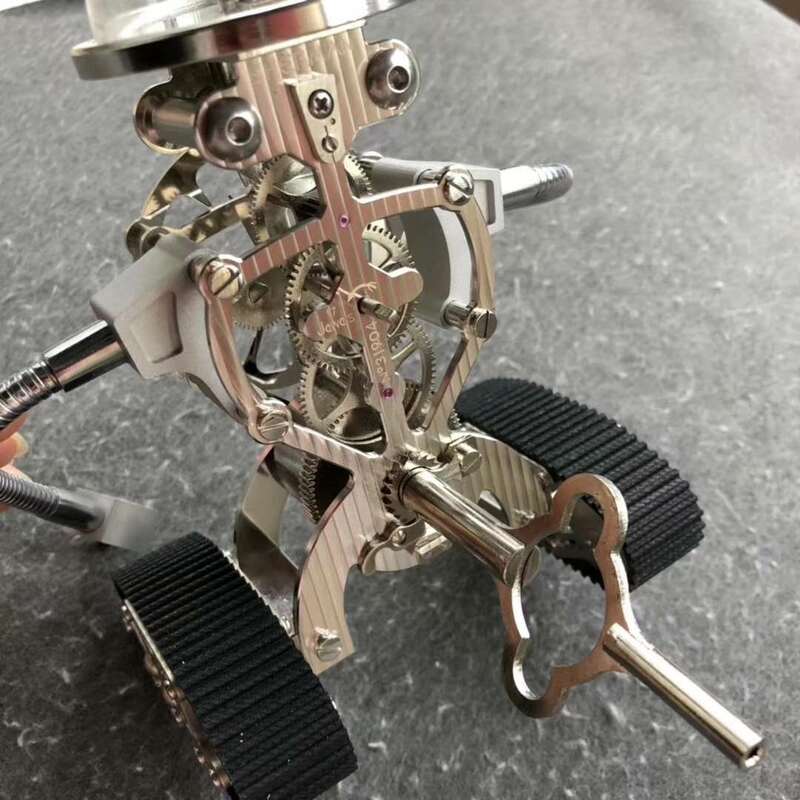 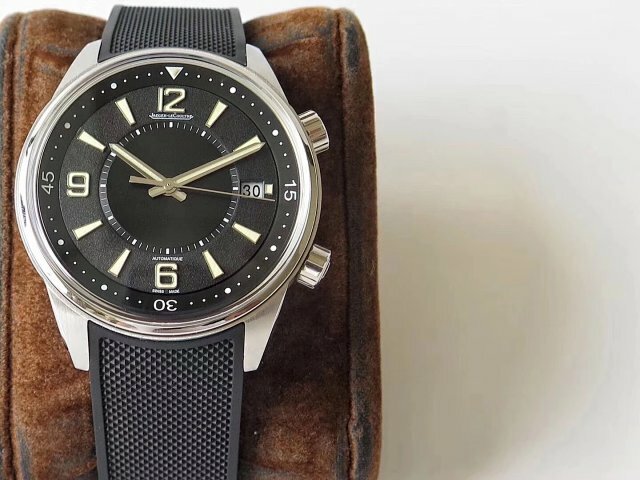 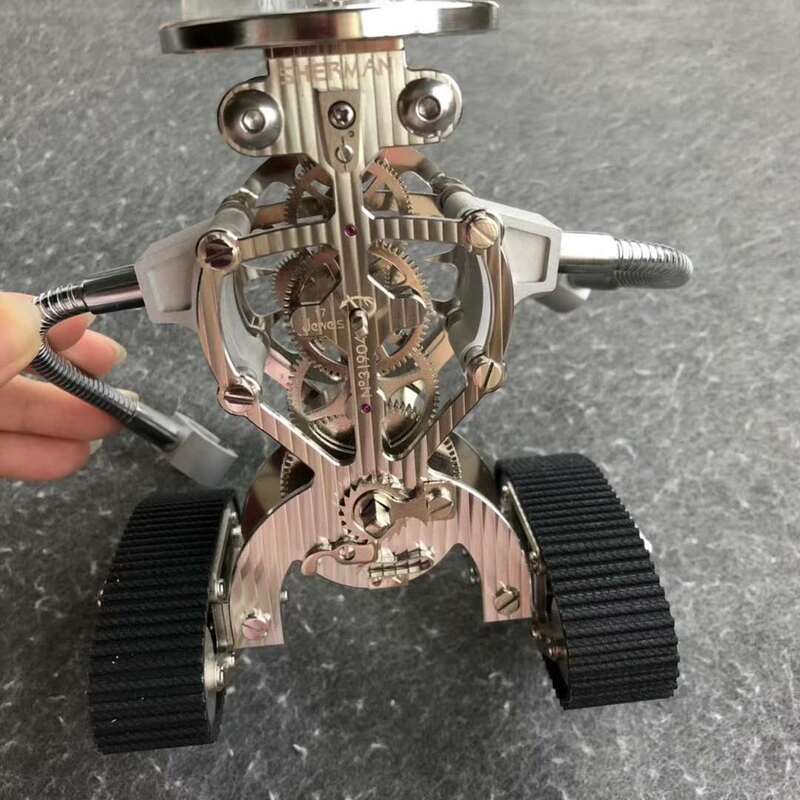 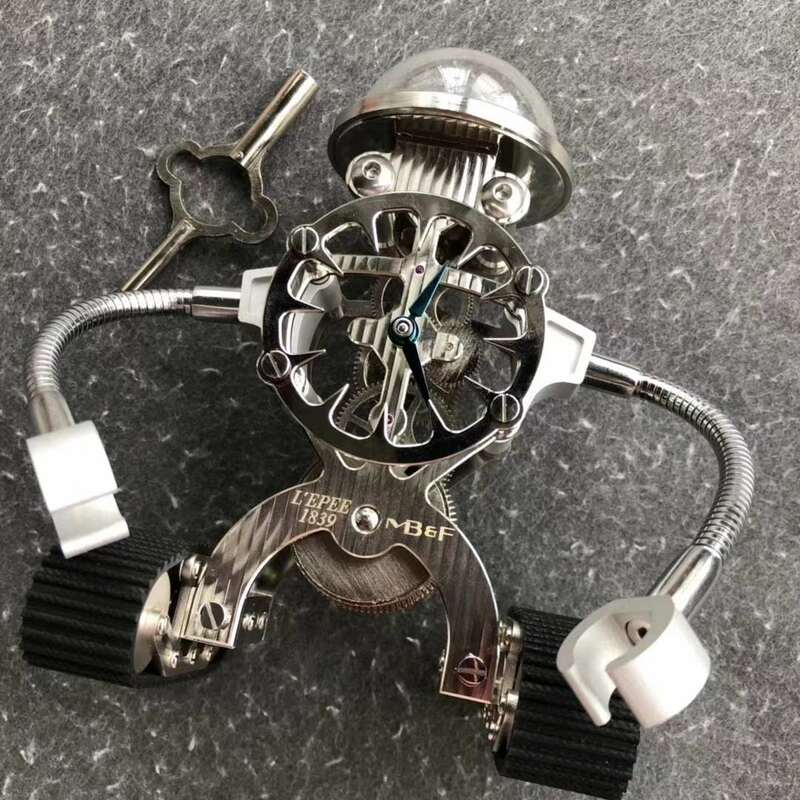 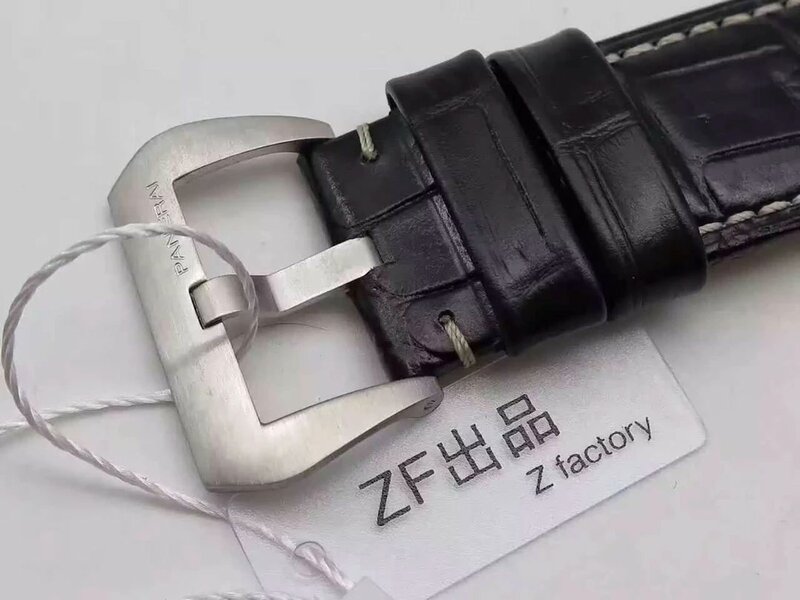 At the beginning of 2018, Z factory took some great action in making superior quality replica watches. 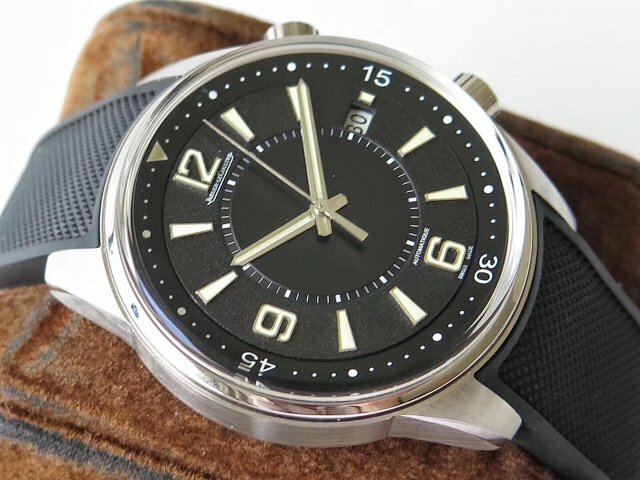 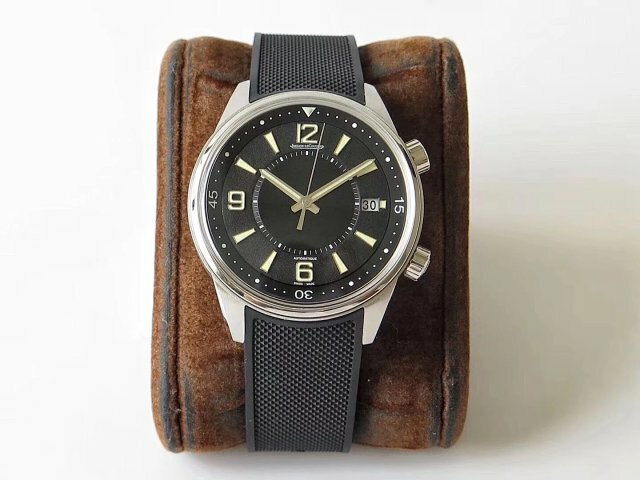 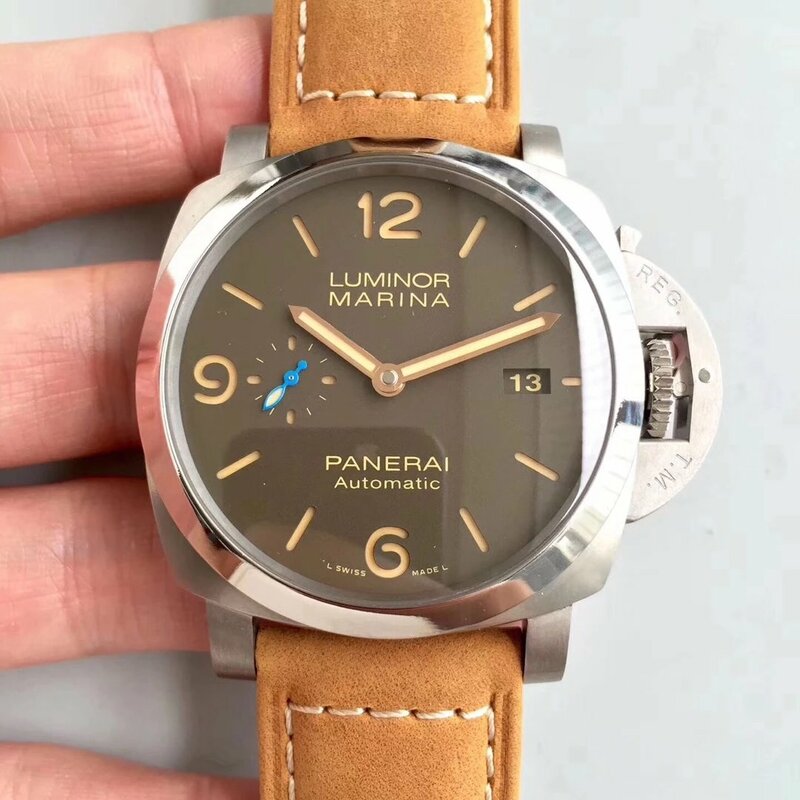 For example, the ultimate PAM 127 developed by ZF and Noob, Portuguese 7 Days Power Reserve V5, both are important models and liked by a lot of watch fans. 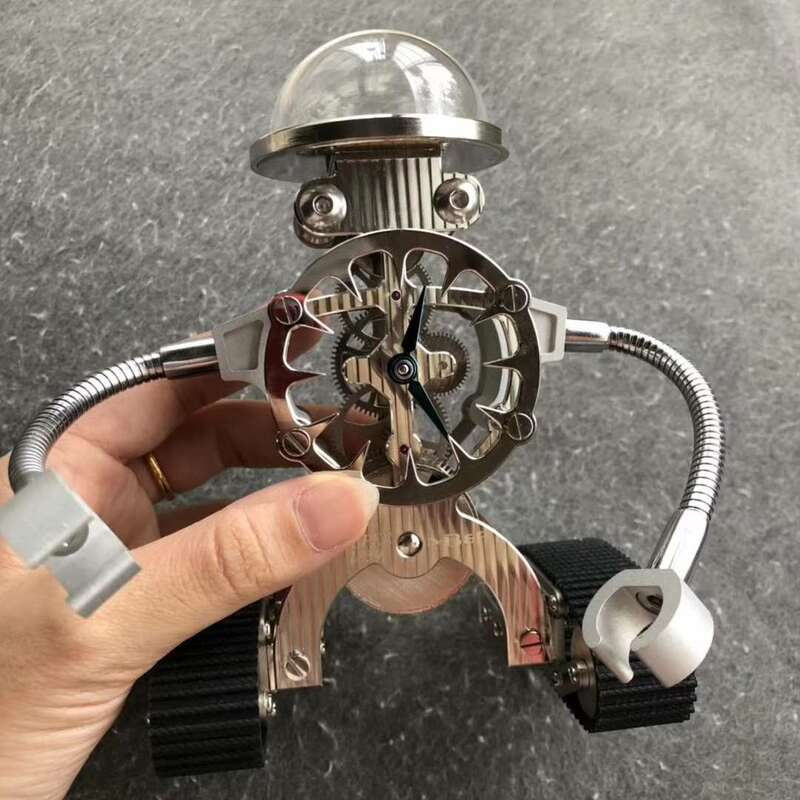 Now, with the newest version published in the market, they will bring another sales storm. 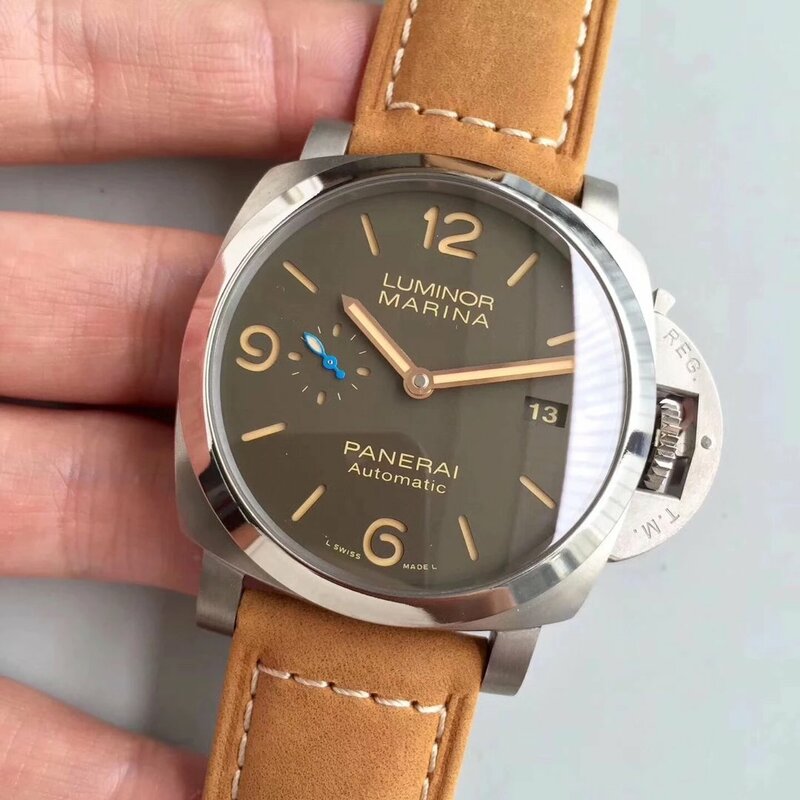 I just posted the PAM 127 review on my blog, and immediately a lot of readers asked me about its price, it is really a perfect replica like PAM 217, which I am going to introduce today. 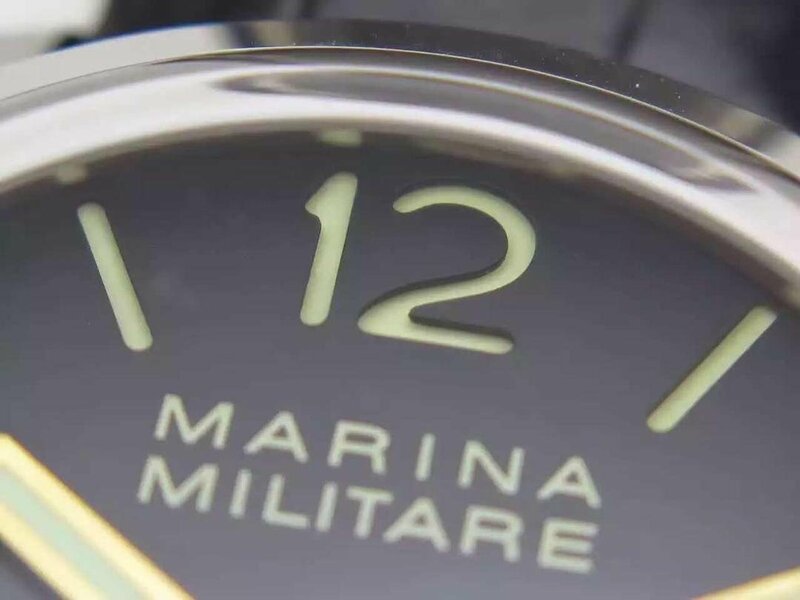 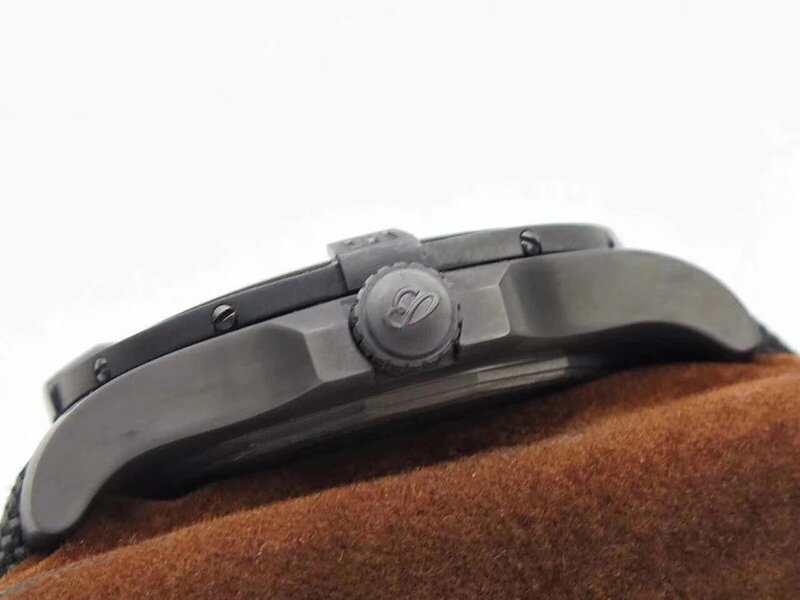 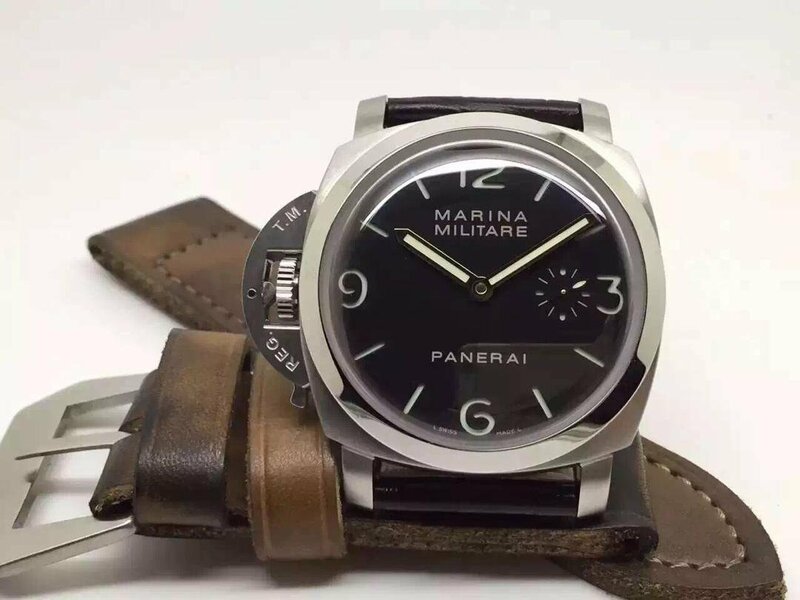 PAM 217 is a destro watch, means it is a lefty and people wind it with their left hand. 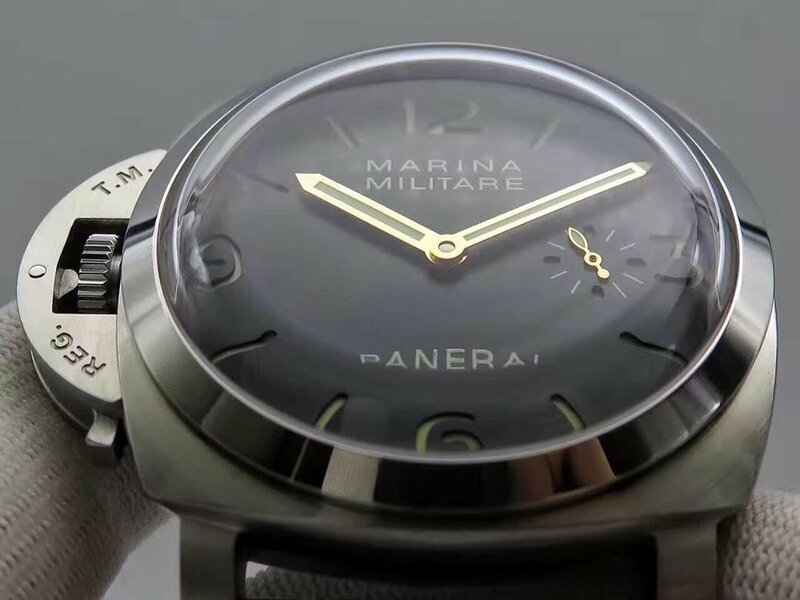 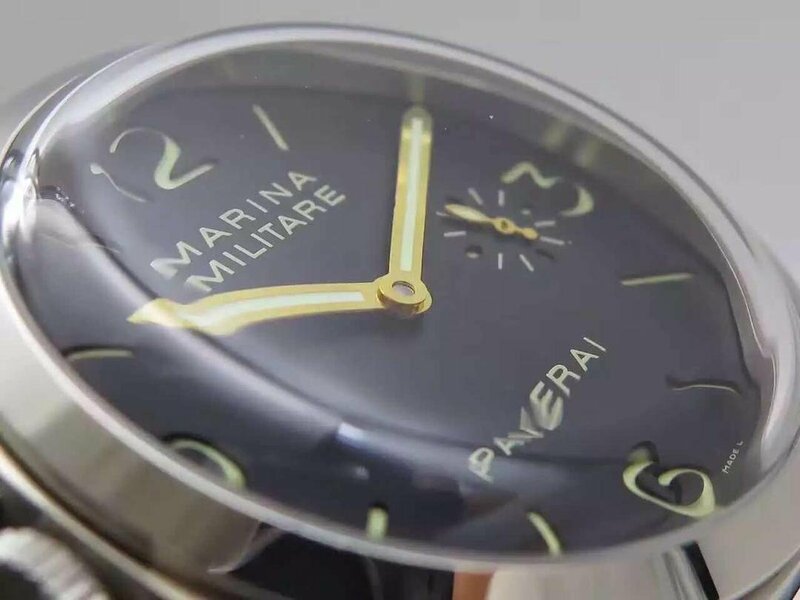 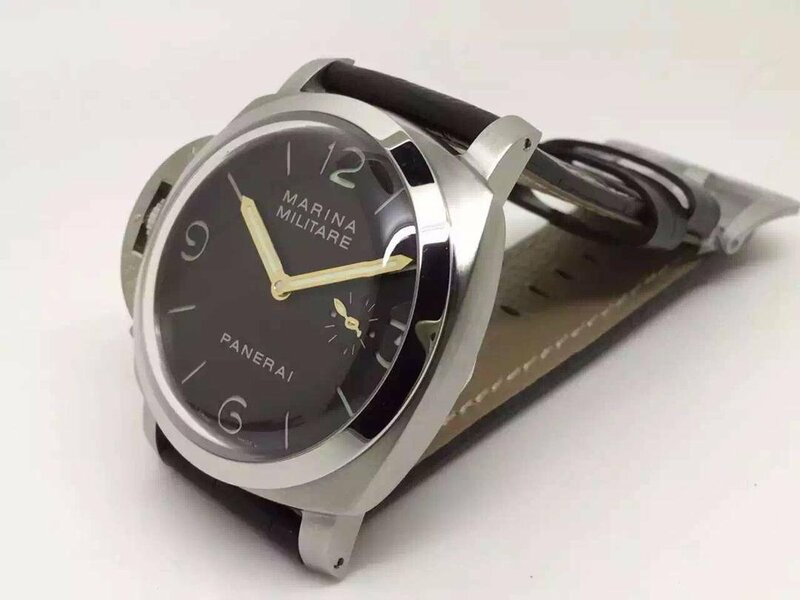 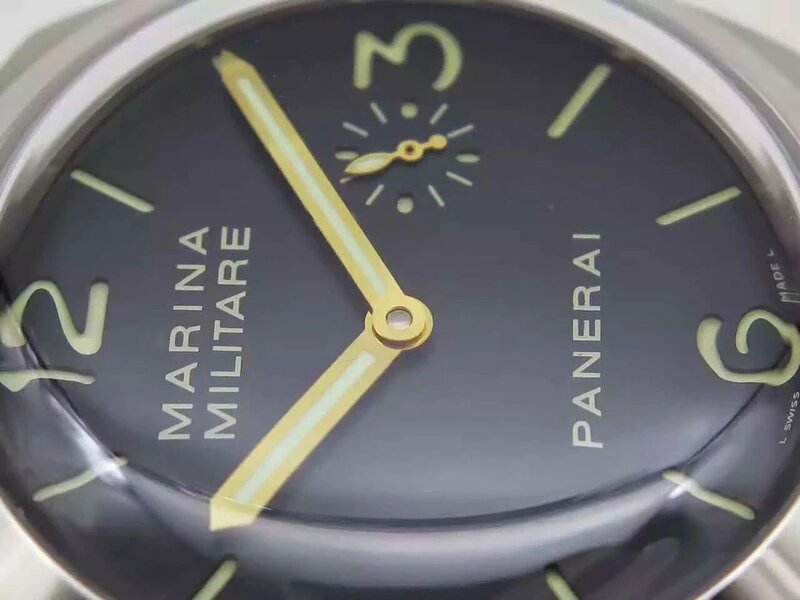 In fact, those diver’s watches made by Swiss brands in old decades are all left-handed, including the ones made by Panerai for the Italy Navy. 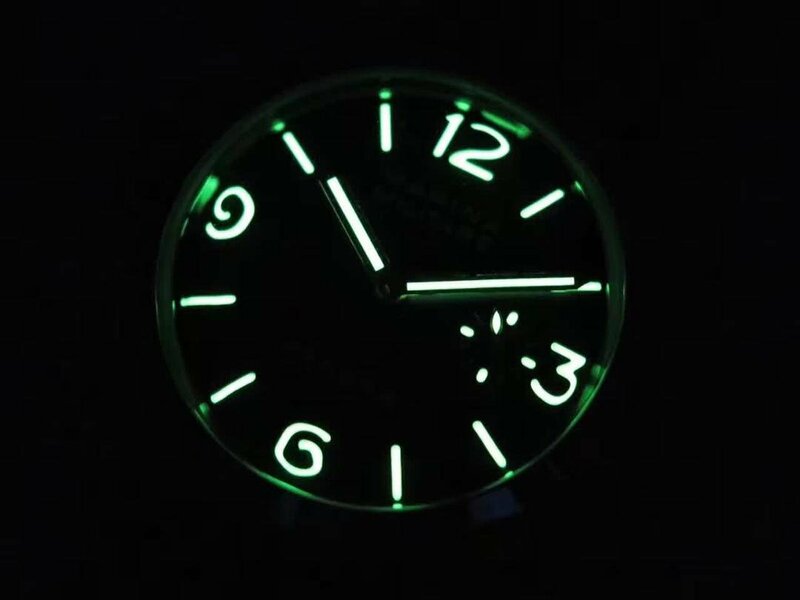 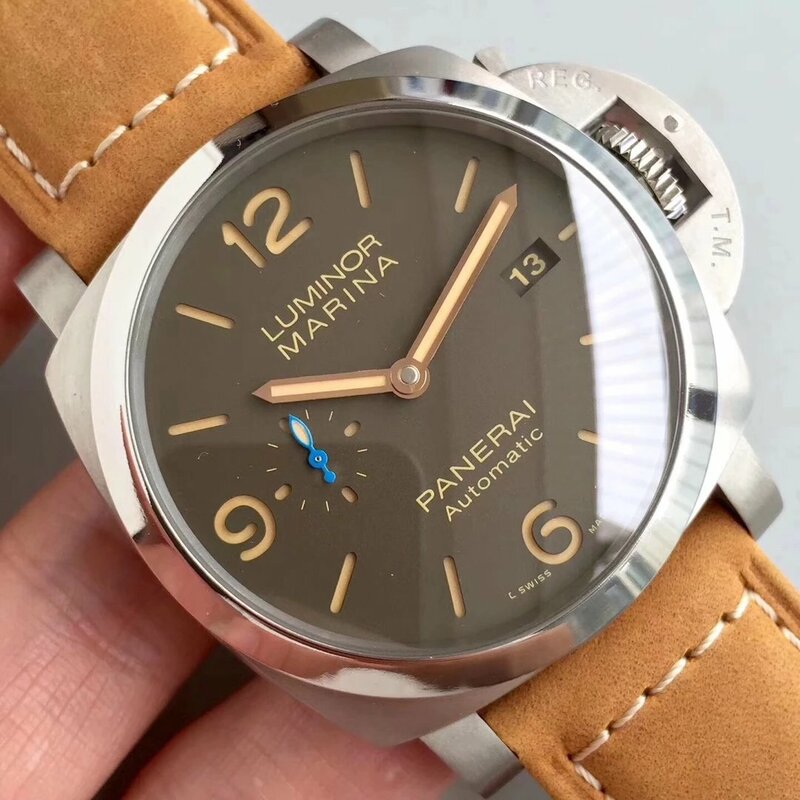 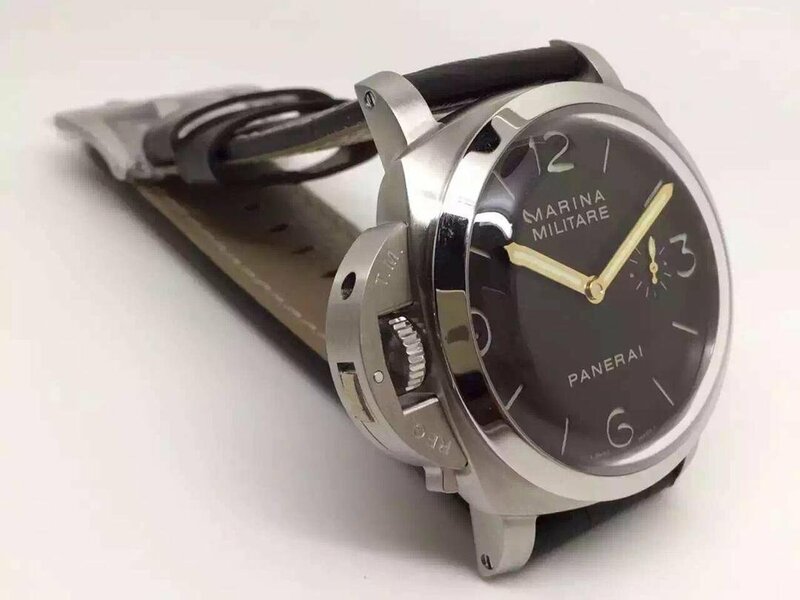 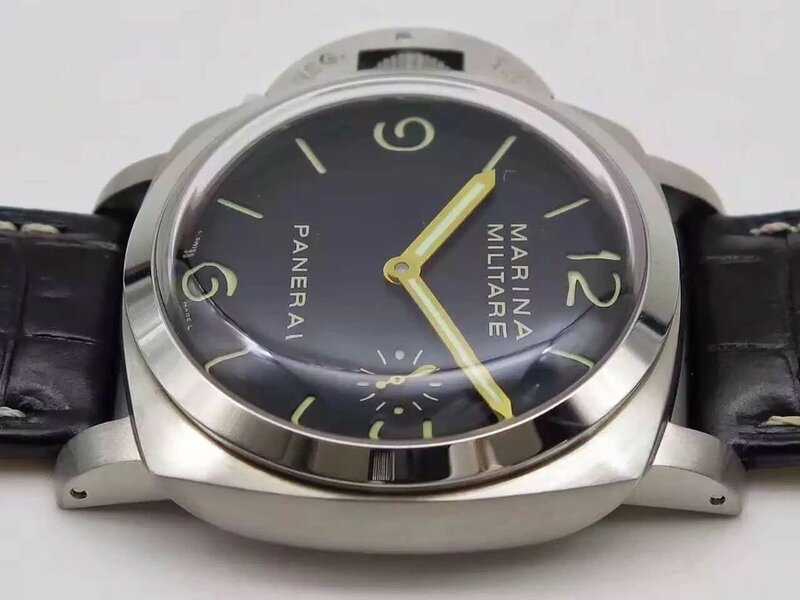 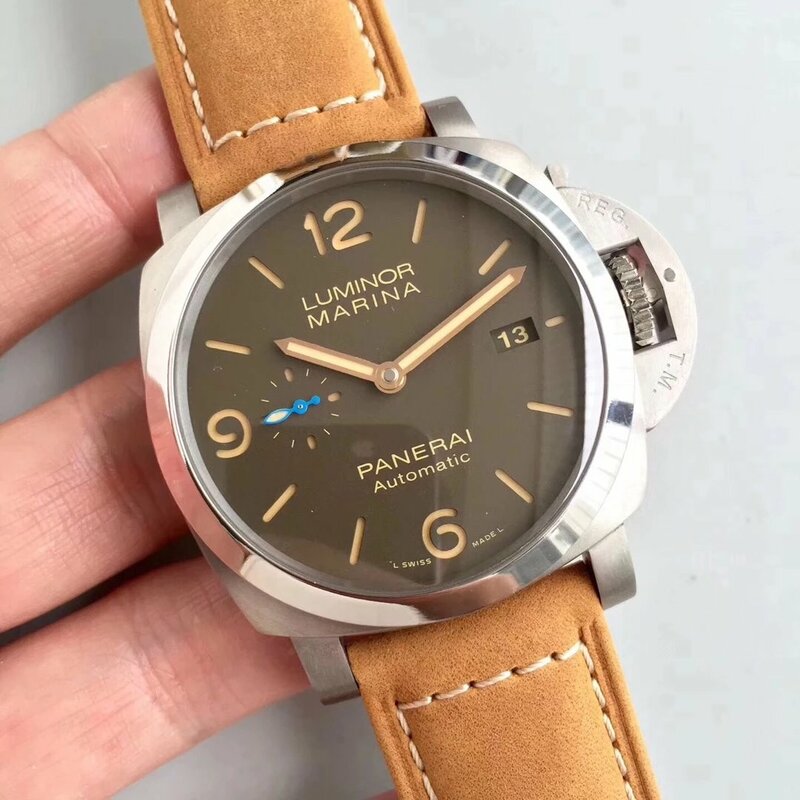 PAM 217 was made by Noob factory before, but the one here discussed is the latest V3 from Z factory, it is currently the best sold online. 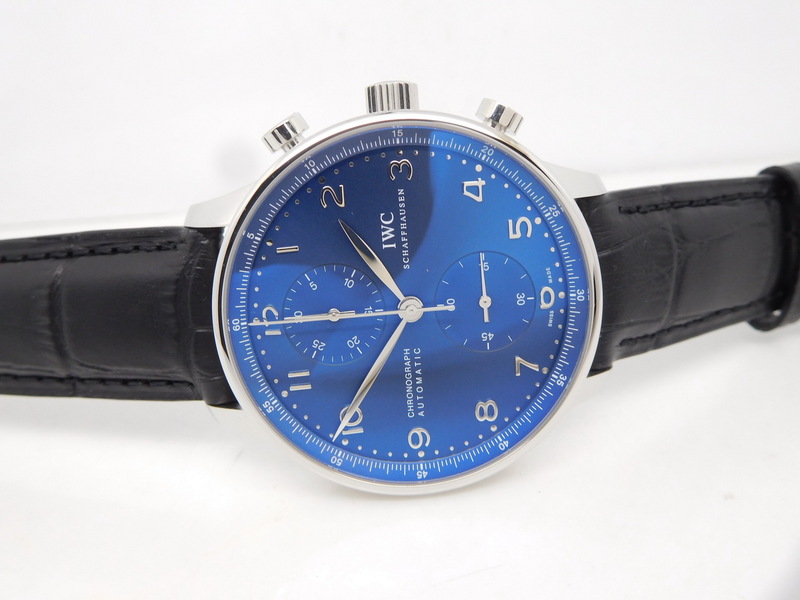 IWC watch is always famous for its thin, big dial and elegant design, every gentleman likes to own at least one IWC watch. 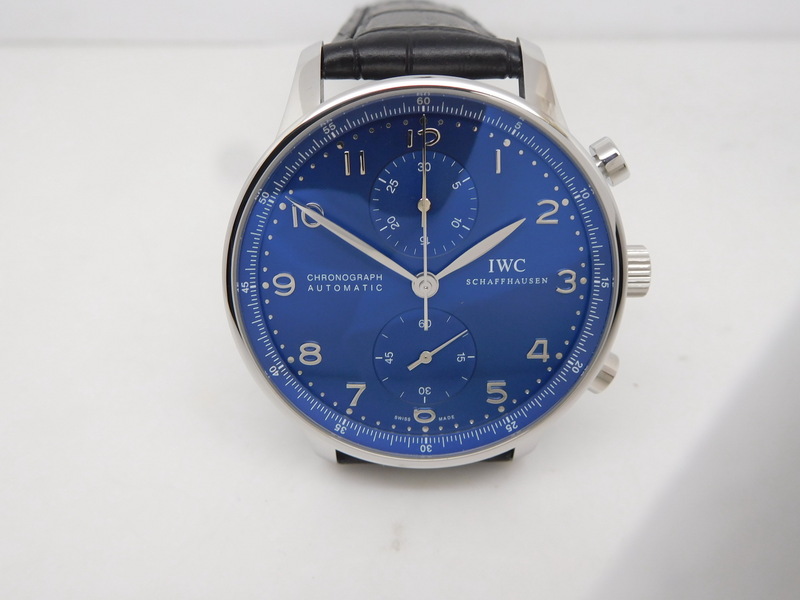 Z factory has been tried hard to released different editions of replica IWC Portuguese Chronograph IW371445. 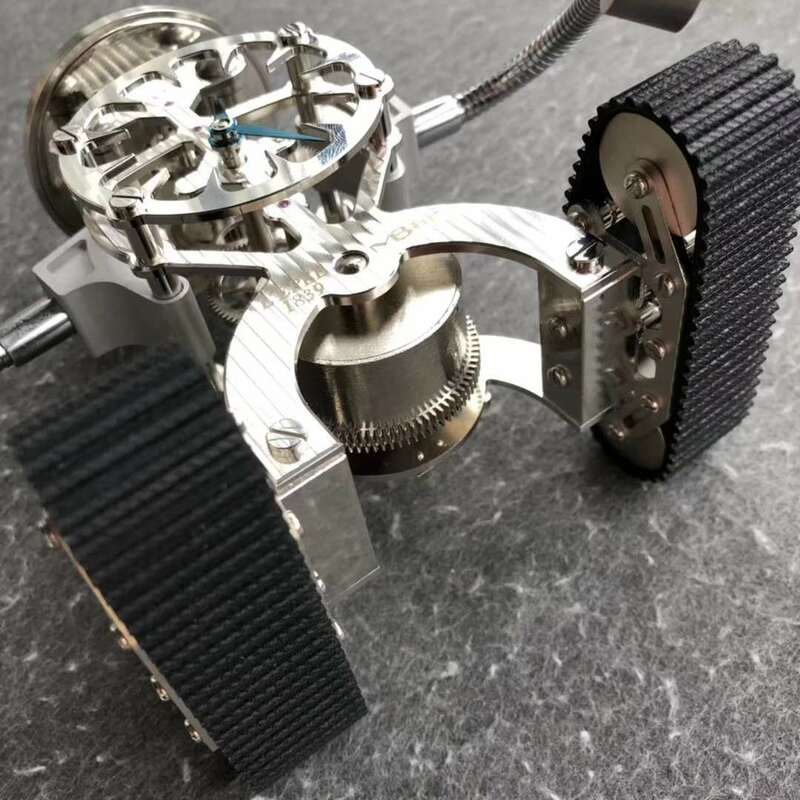 And they are getting better and better on everything, this time, Z factory engineers have been spending more than 18 month to do this V6 edition and I think this is the best edition that I have ever seen out there from the market. 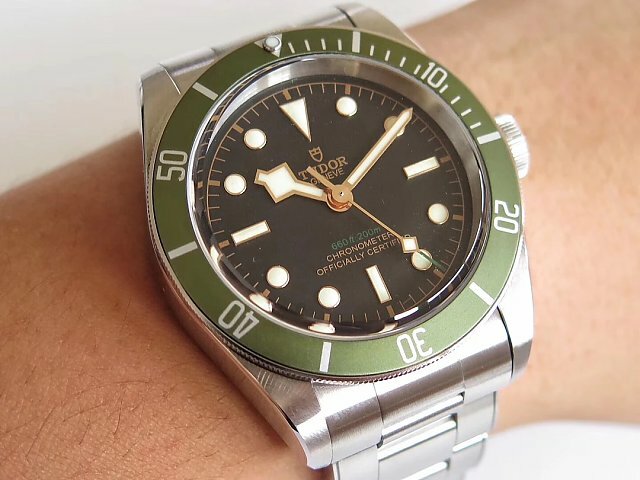 Is there any difference between the original and V6 edition? 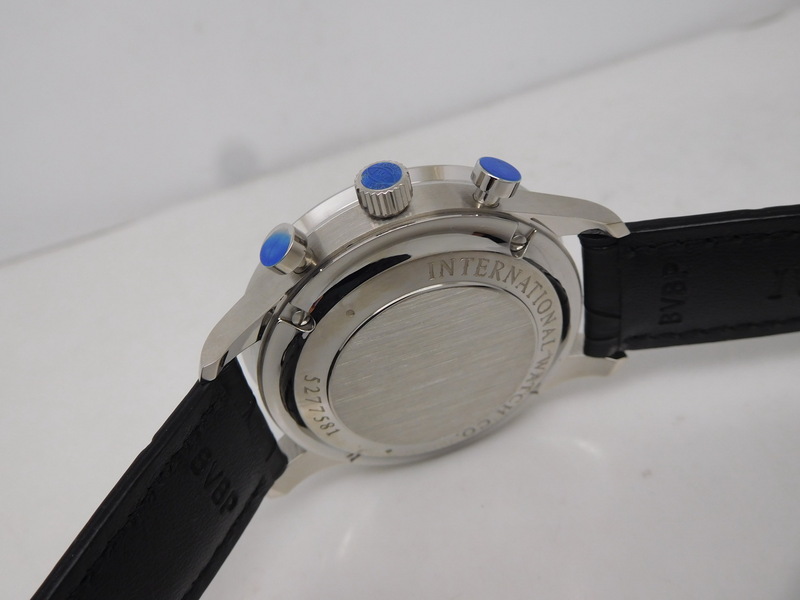 Comparing the two, which are almost the same only some slight differences. 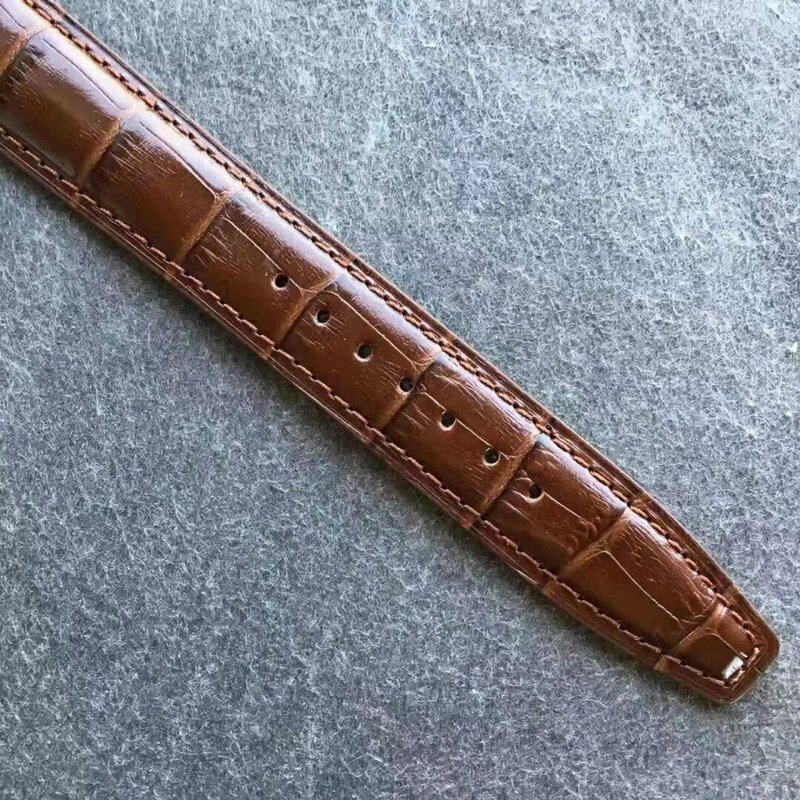 Let’s have a careful look at it. 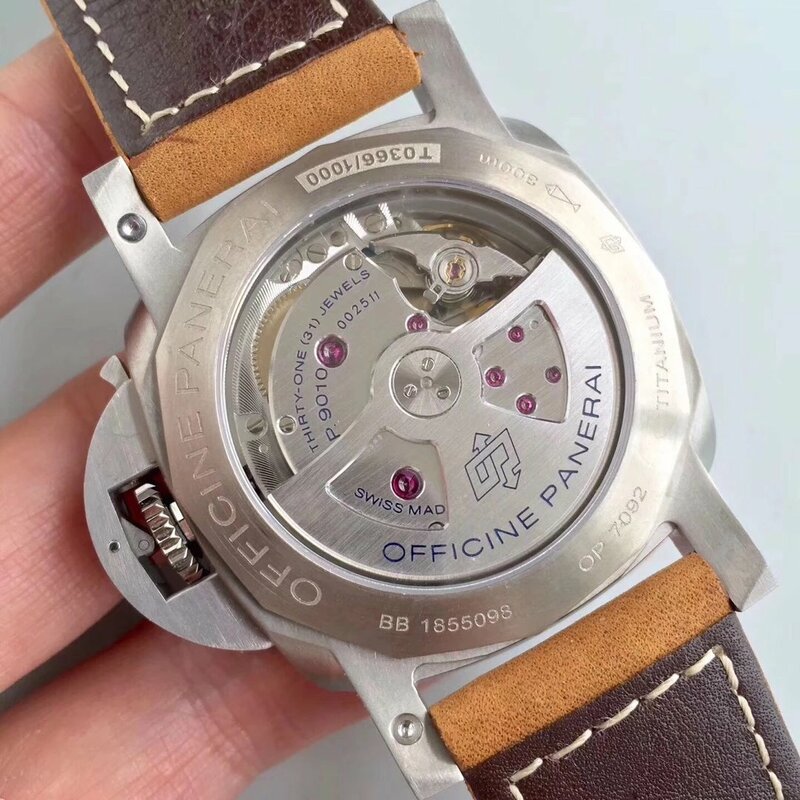 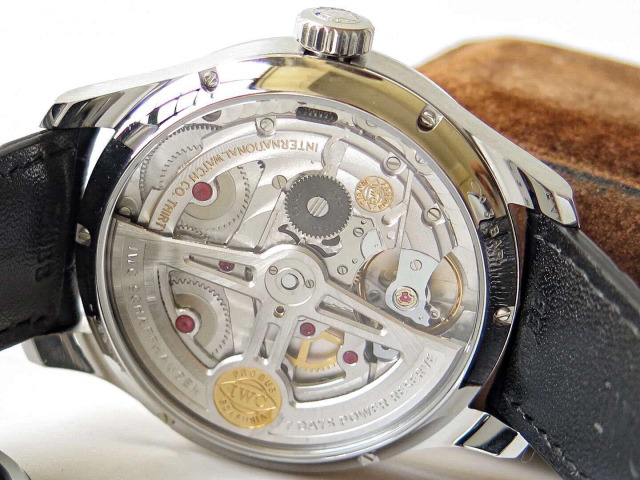 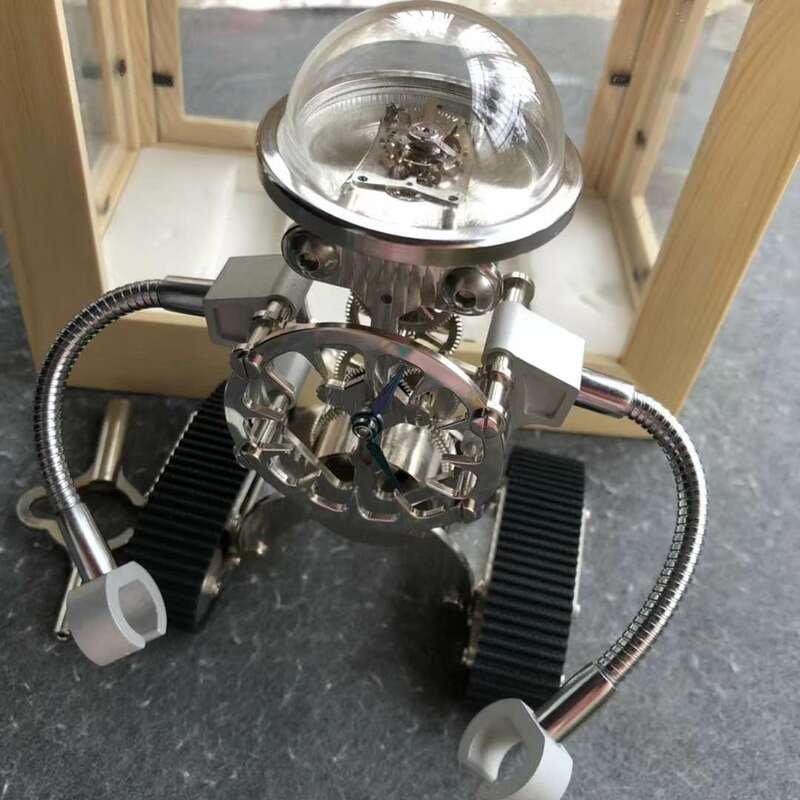 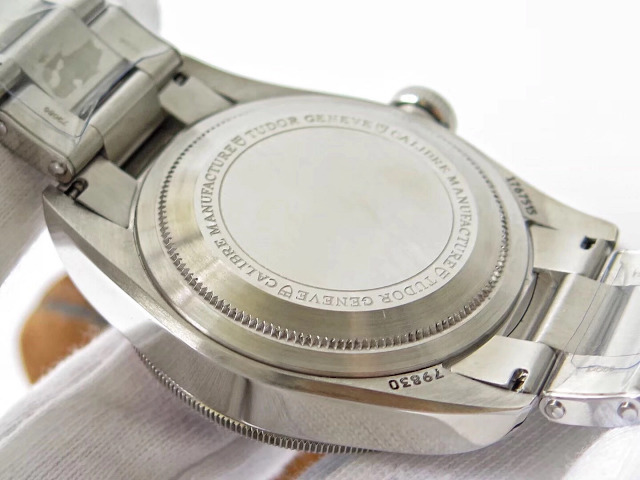 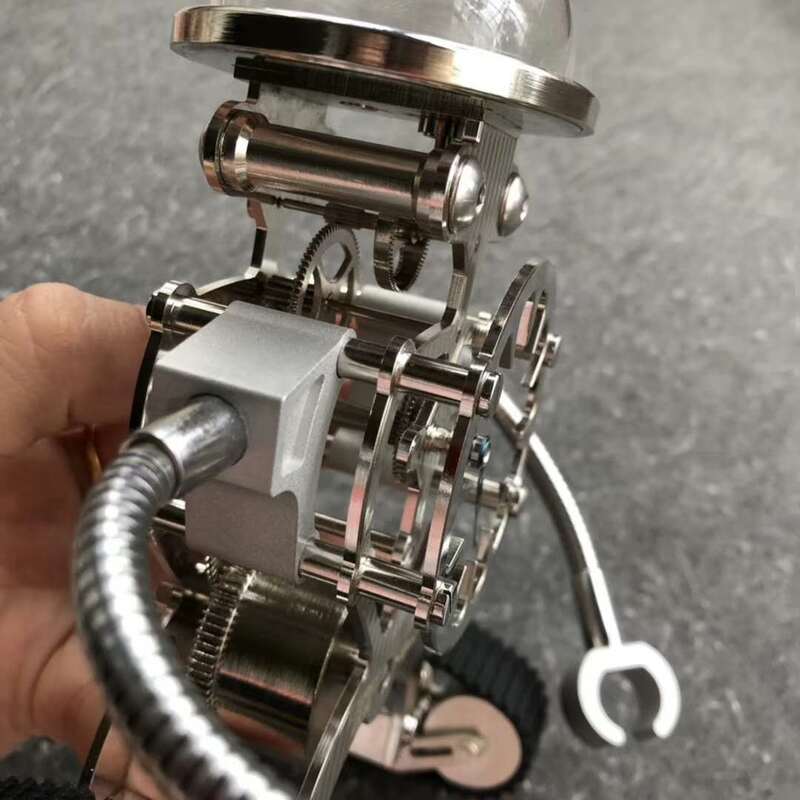 First of all, the case size is 40.9*12.3mm which is almost as the same the per original, not only because it is made out from a 1:1 case but also because the team conquer so many difficulties to develop a replica A79350 movement. 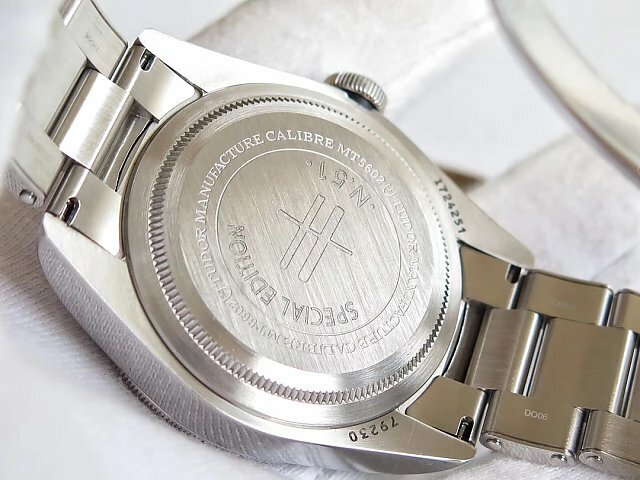 Some editions are not able to do the same size case as original edition is because it is limited by the movement inside of it, some factories are not able to copy the original movement. 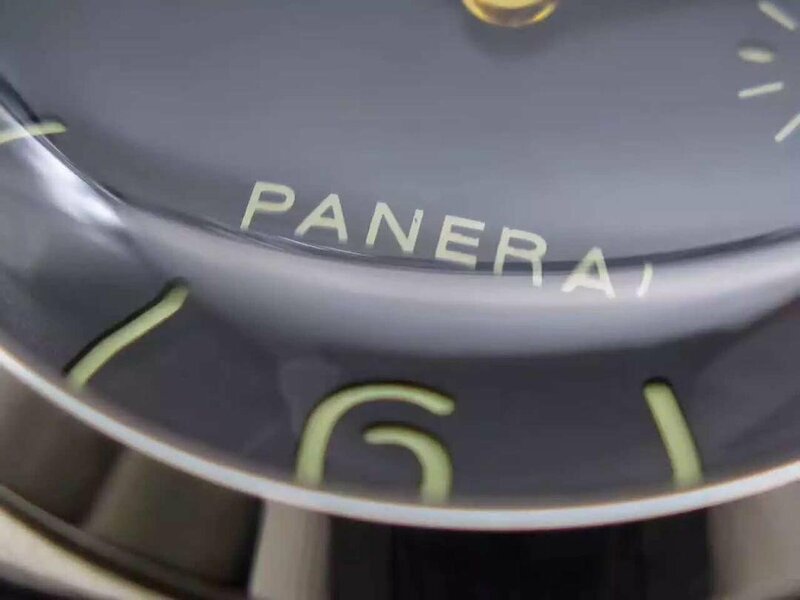 Then let’s move to the dial, the craftsmanship and fine details are just the same as original. 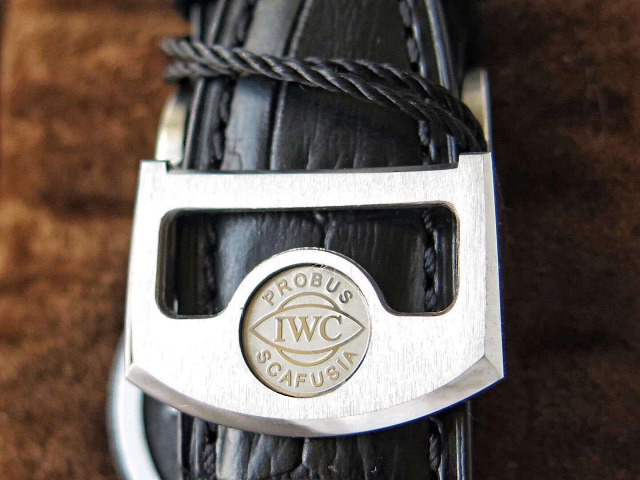 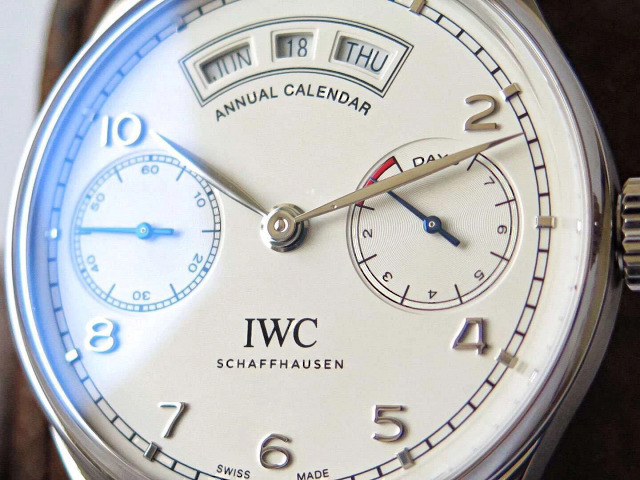 IWC’s logo is very clear, and the character size is the same as original, there is no difference by looking at it. 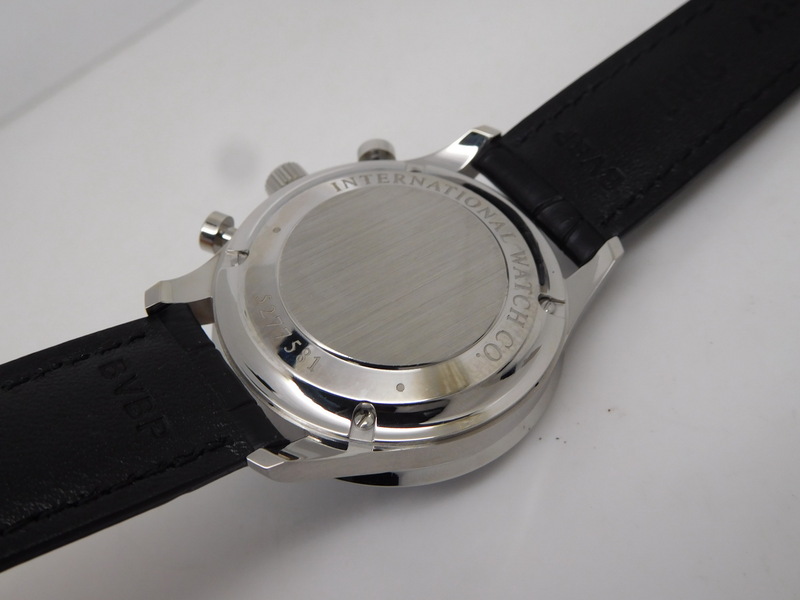 The outside markers for chronograph second function is also copied greatly. 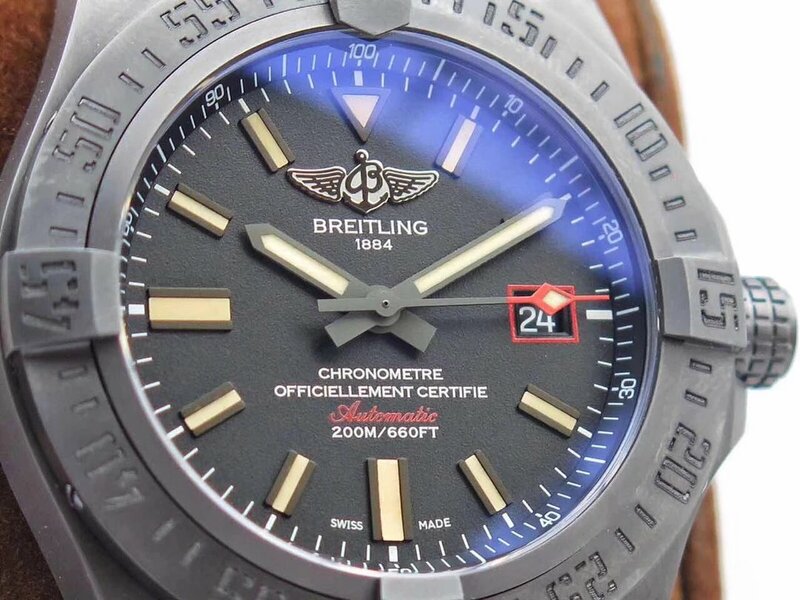 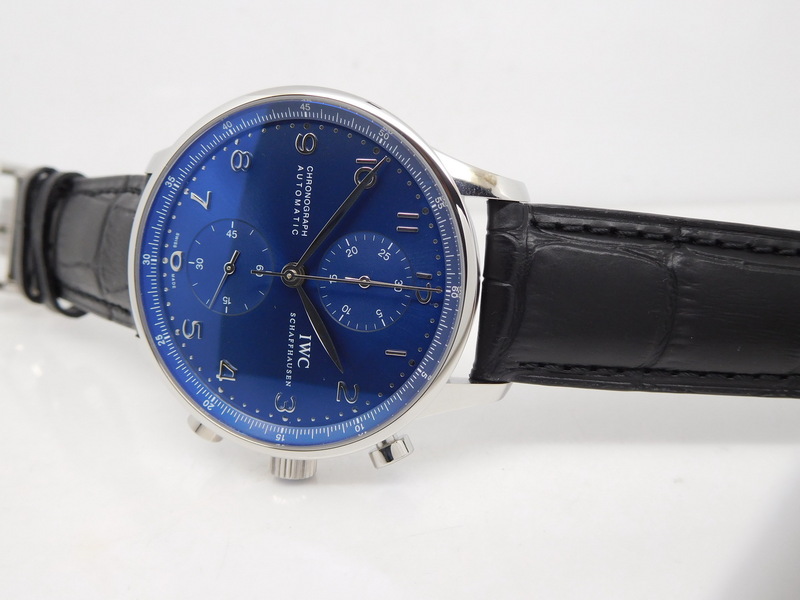 The blue long needle is for showing chronograph second, and sub-dial at 12:00 position shows chronograph minute. 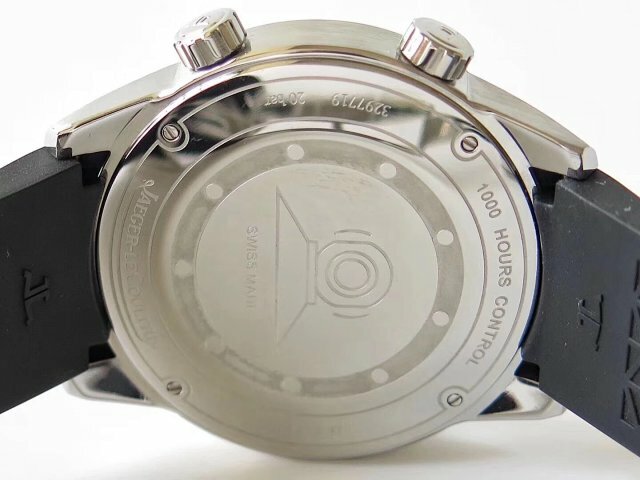 Sub-dial at 6:00 position together with two hands in the middle to show the time. 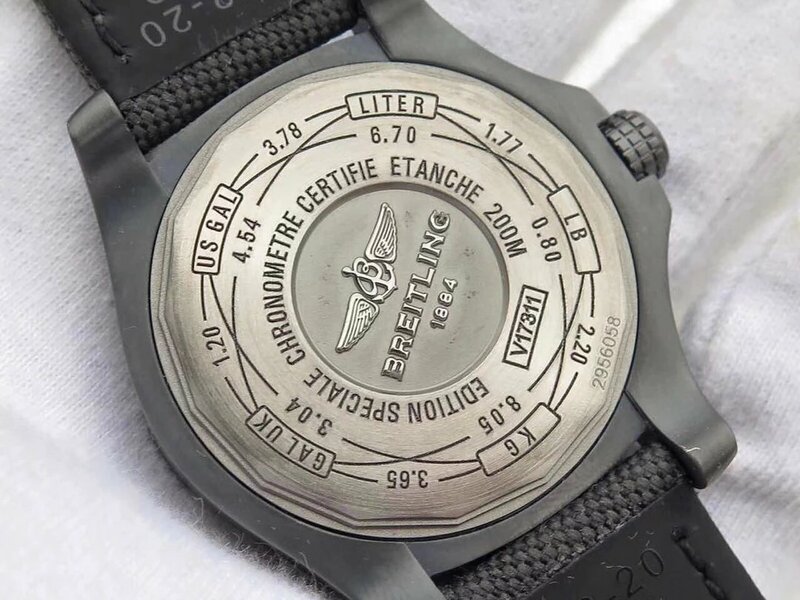 Time Markers are numeral. 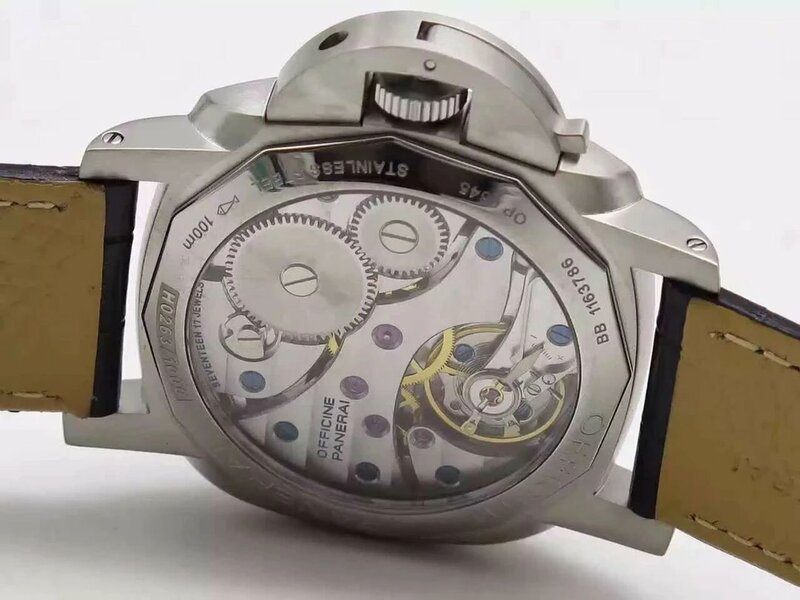 Look into carefully, even the axis to hold those three hands are done as well as per original, perfectly in details! 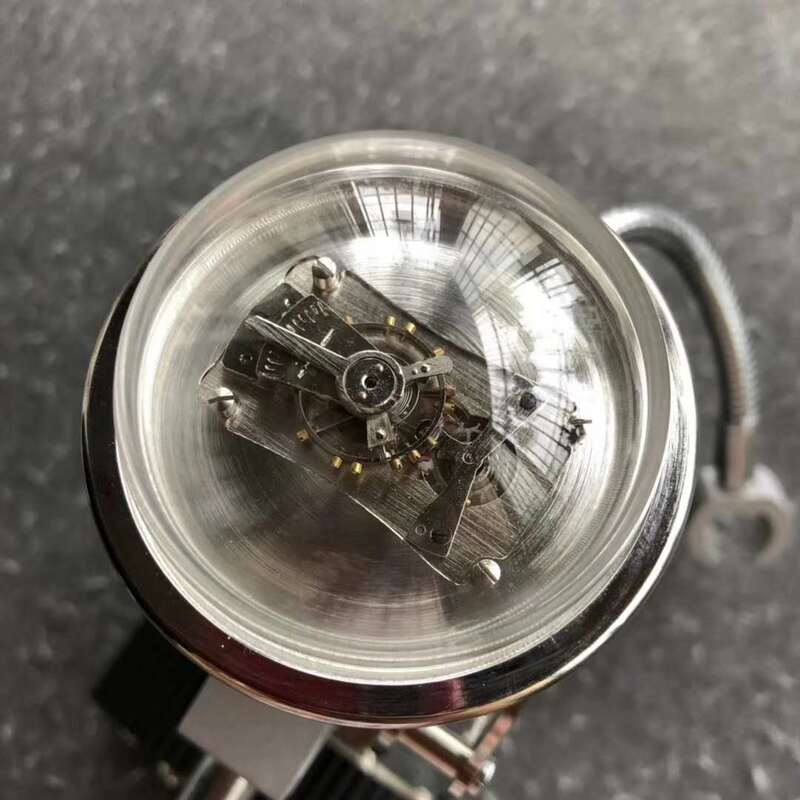 Both V6 edition and original’s front glass are made of sapphire crystal, this is a easy job for ZF to follow. 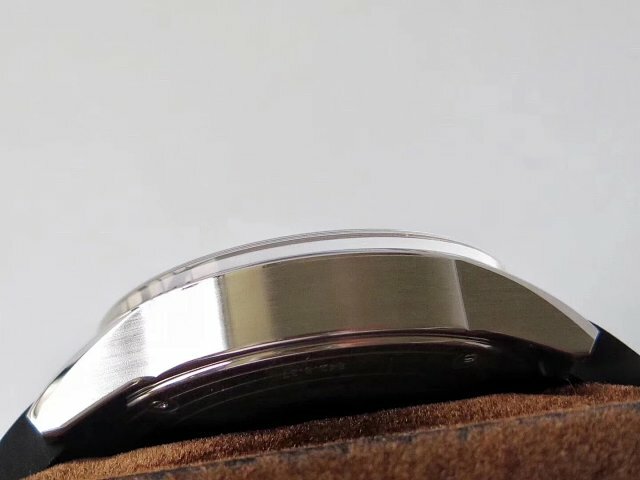 Look at the case side, no matter the polish or matt work, they are exactly the same as the genuine. 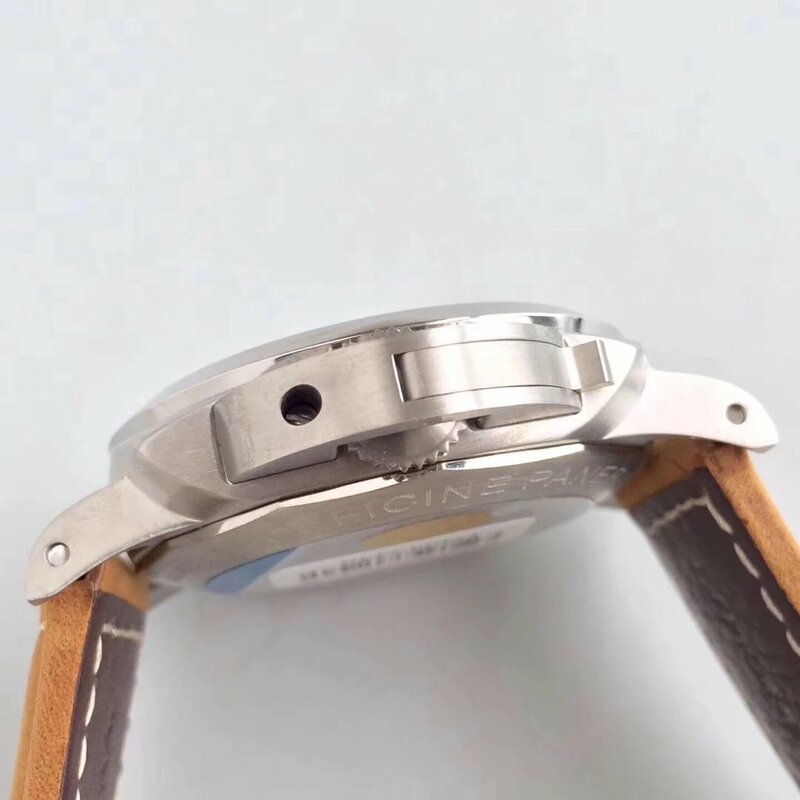 On the crown and the buttons for adjust functions, they are looking the same in shape and engraving logo on it, but V6 edition’s is painted with blue coating which is for protecting them from the scratch. 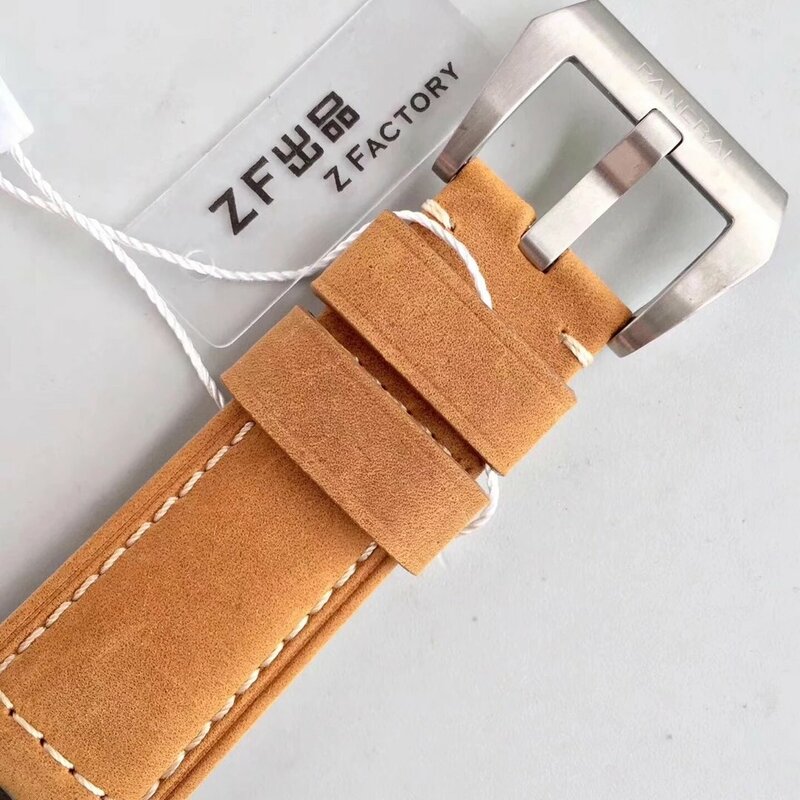 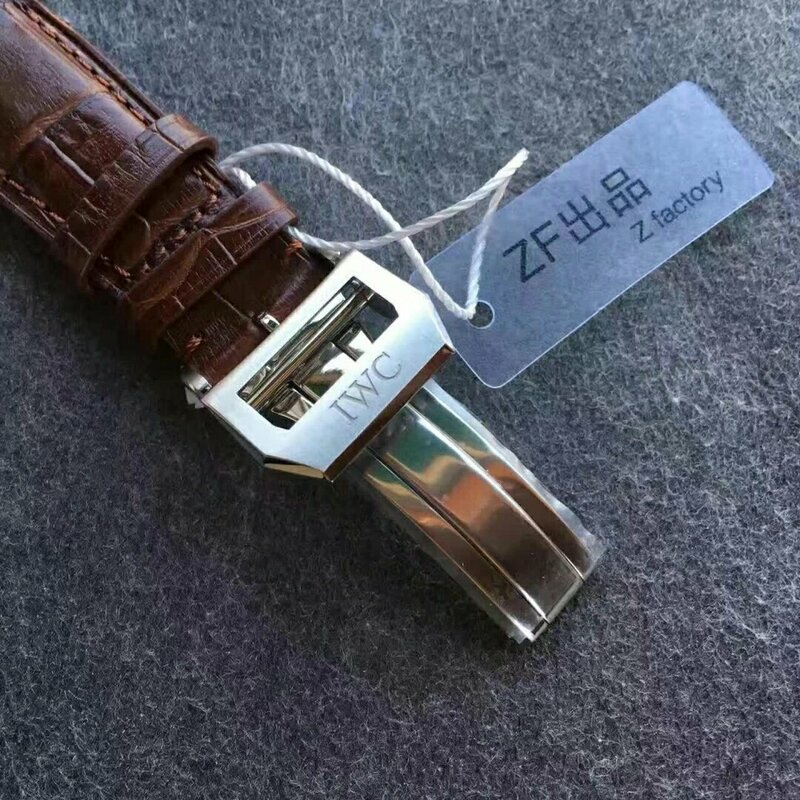 For the strap, the original one is using crocodile leather, V6 edition’s standard strap is real cow leather but Z factory also offer crocodile leather with extra pay. 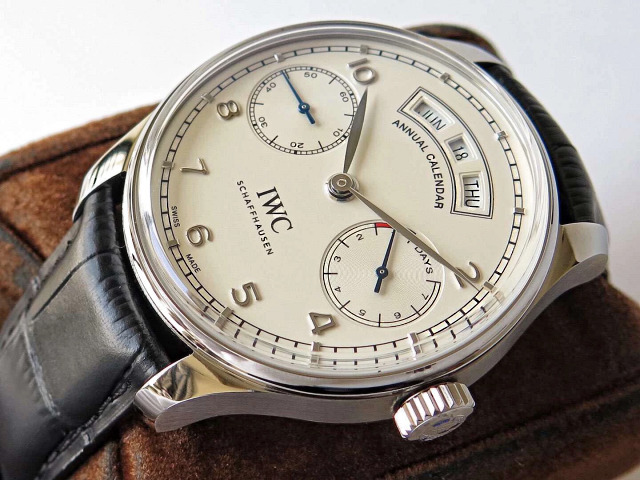 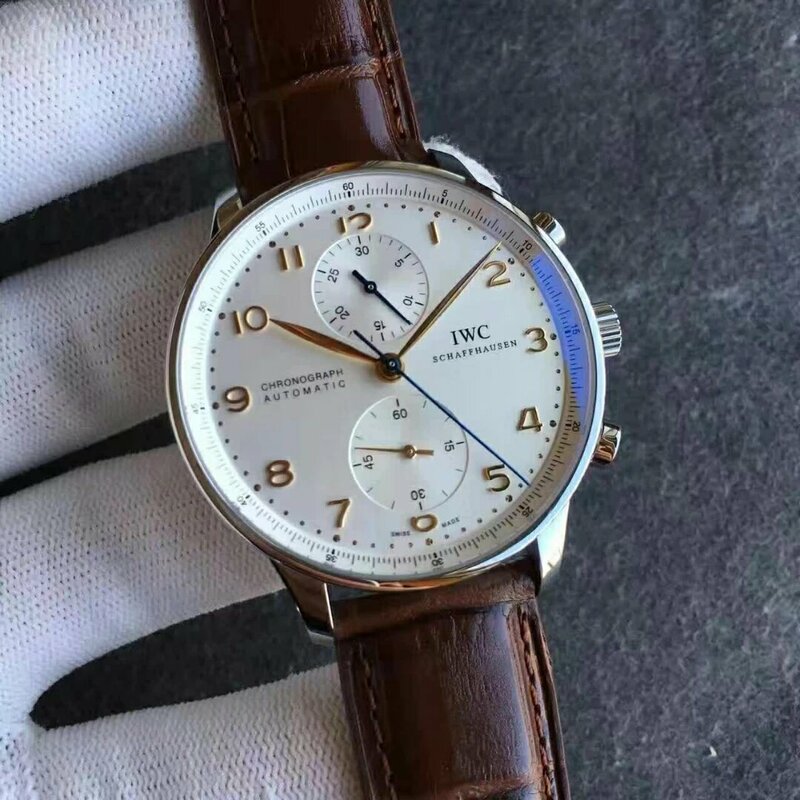 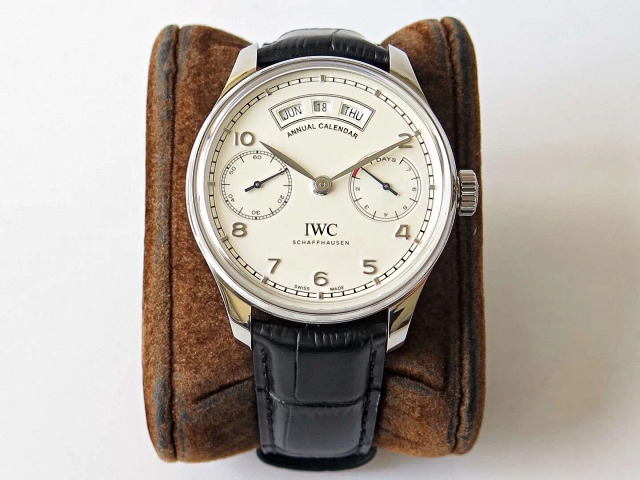 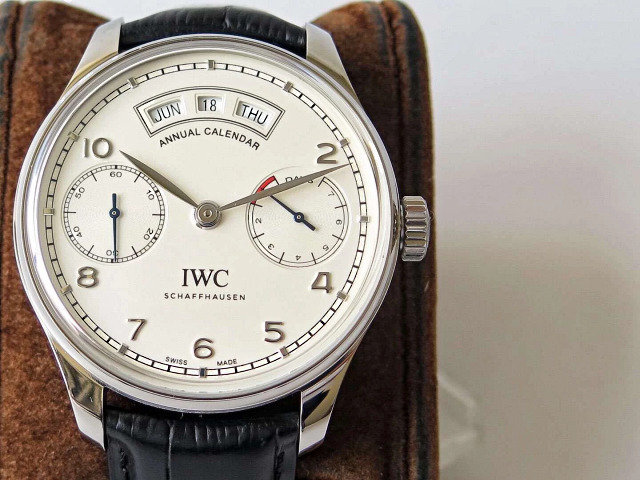 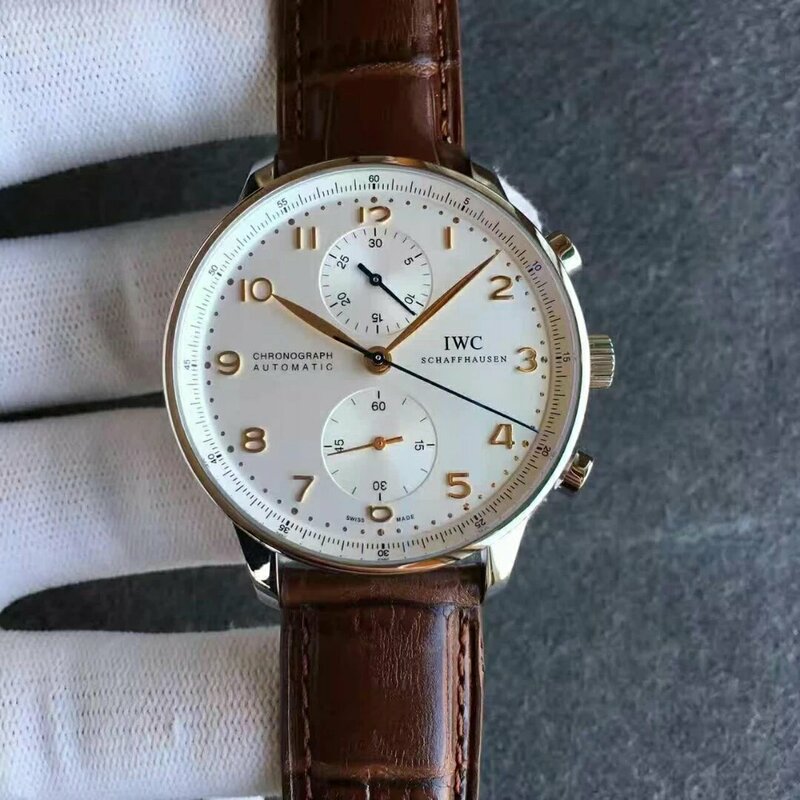 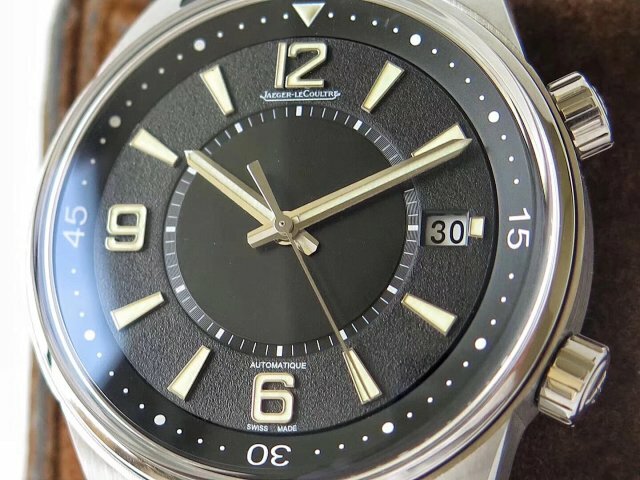 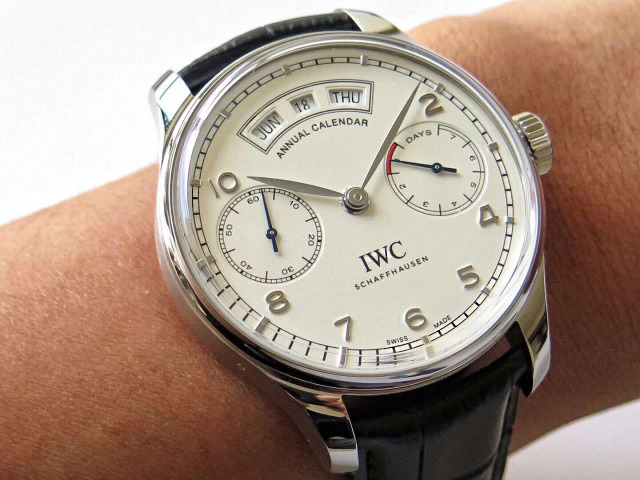 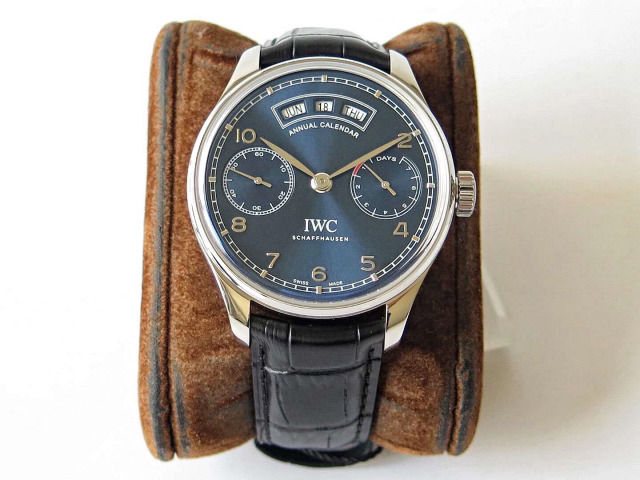 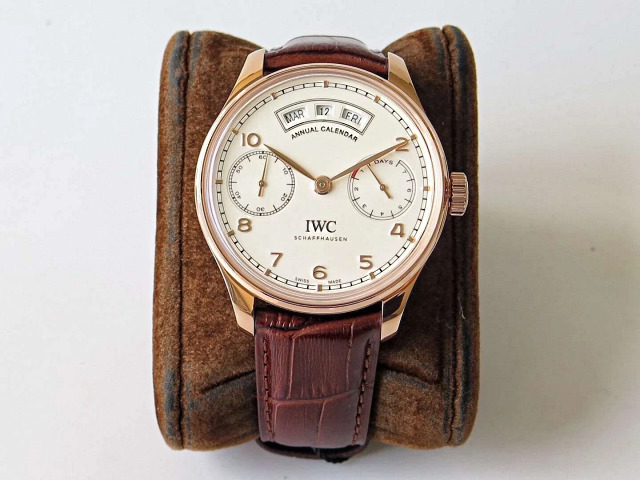 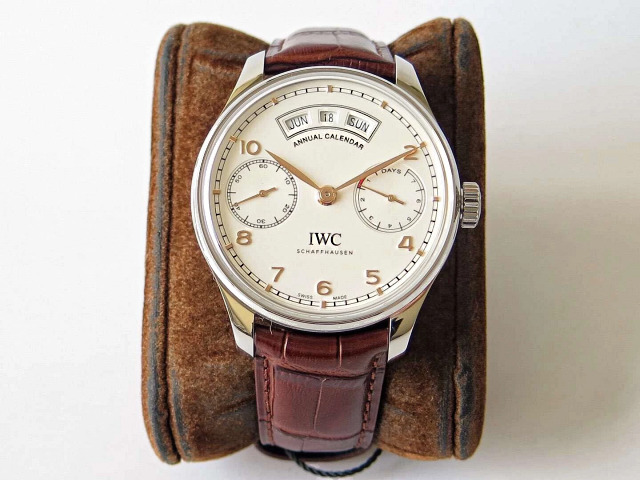 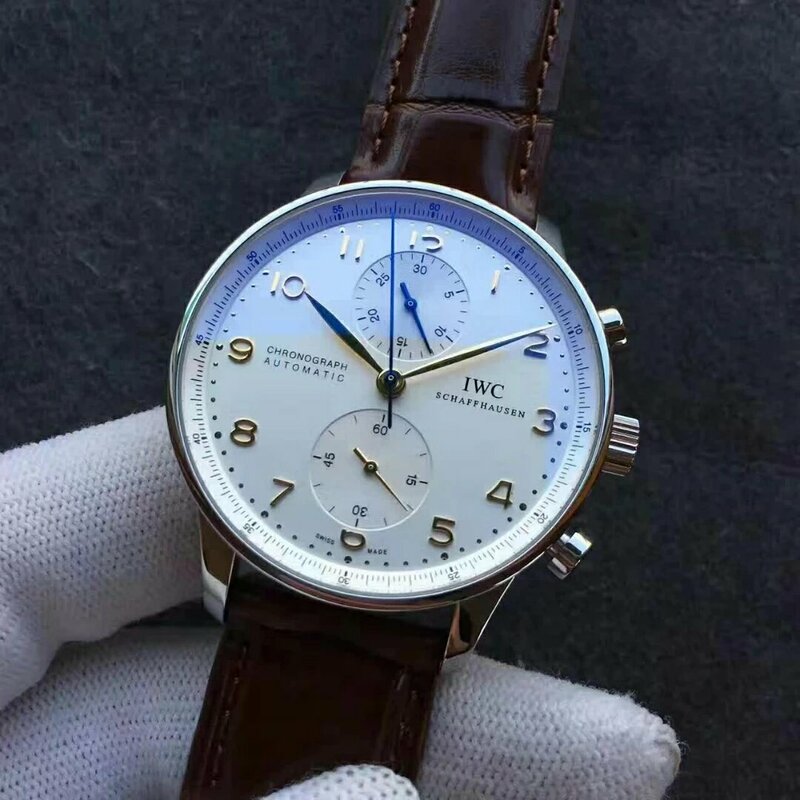 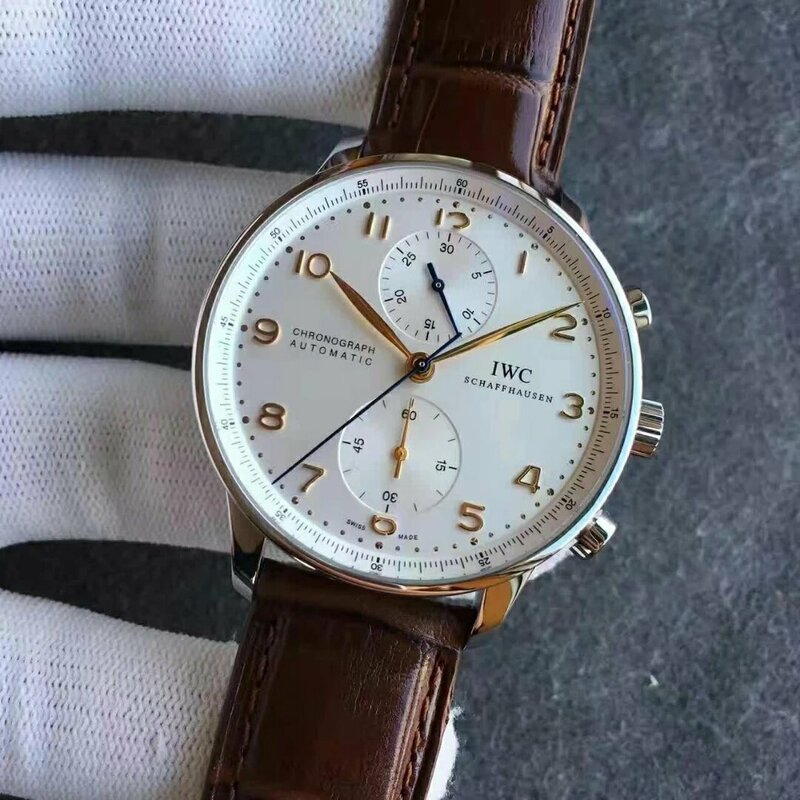 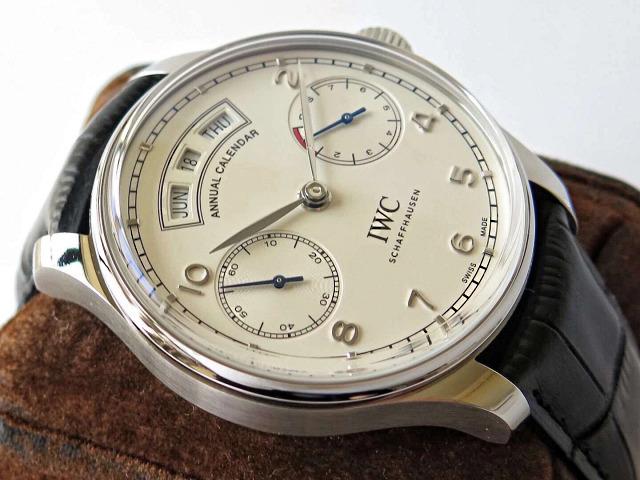 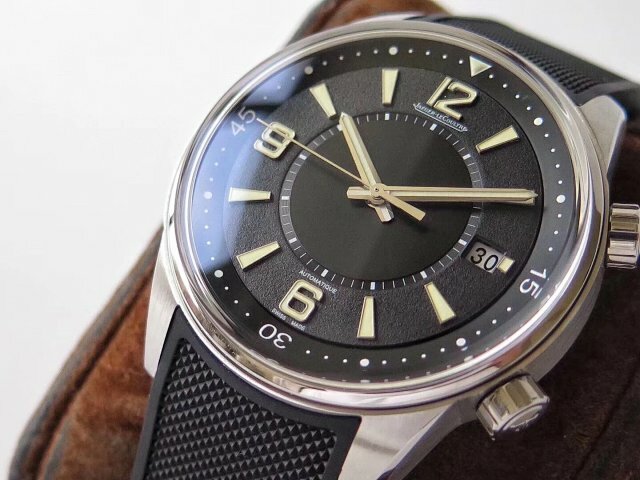 I believe that you have a overall look at the new replica IWC gentleman now, welcome to leave your comments or questions, would like to communicate with you.